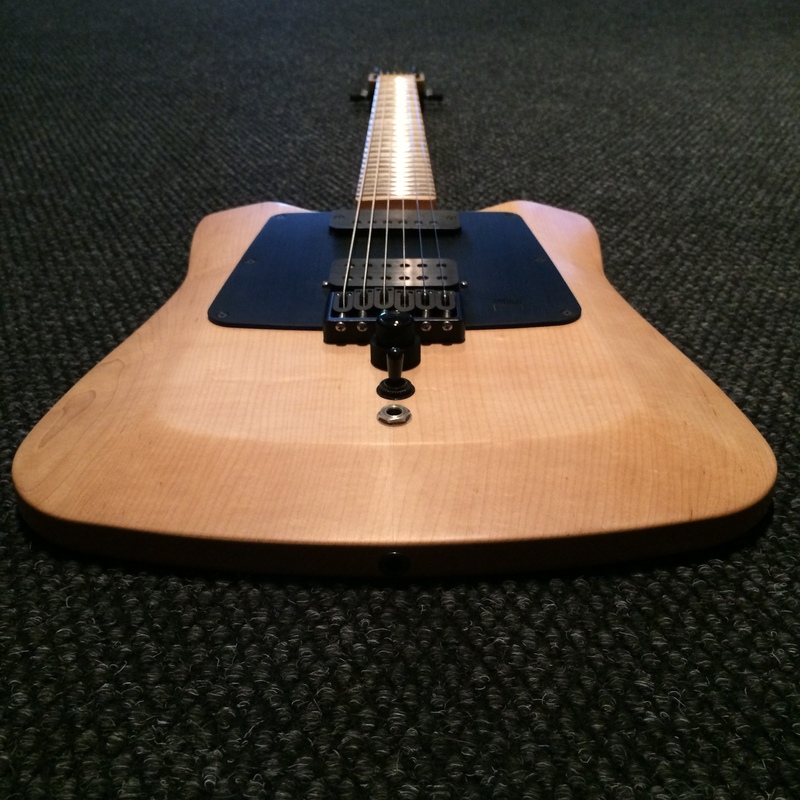 If you are ready to place an order for a custom guitar, please download the form bellow, file it and send it back to me via e-mail. 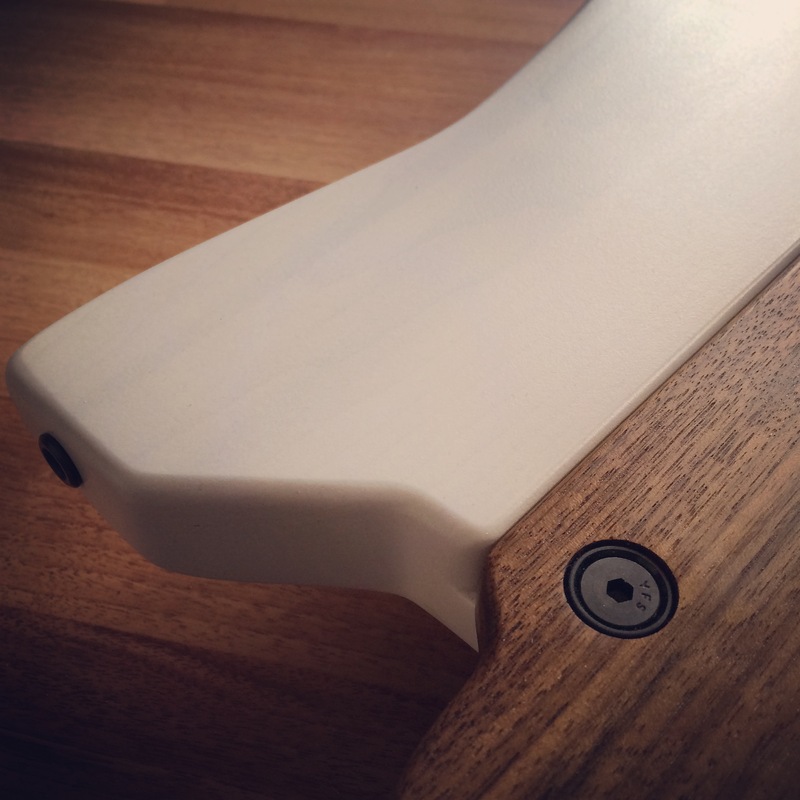 If any option does not suit your needs, please notify it in your e-mail. 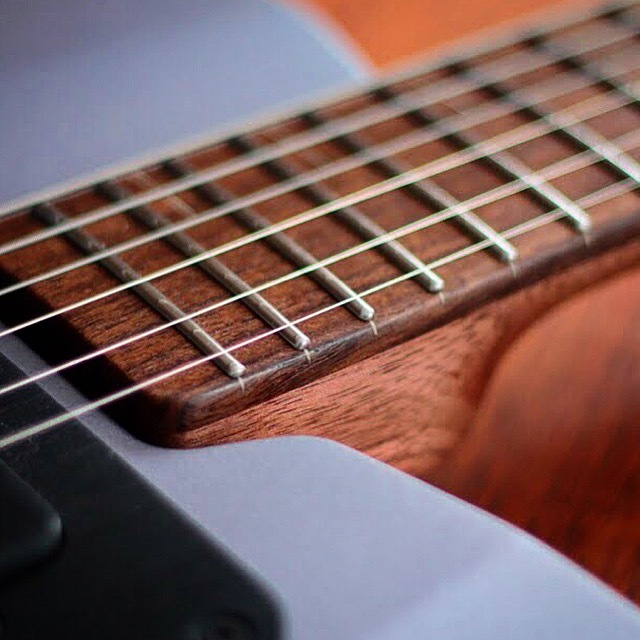 We can work together to make it happen. 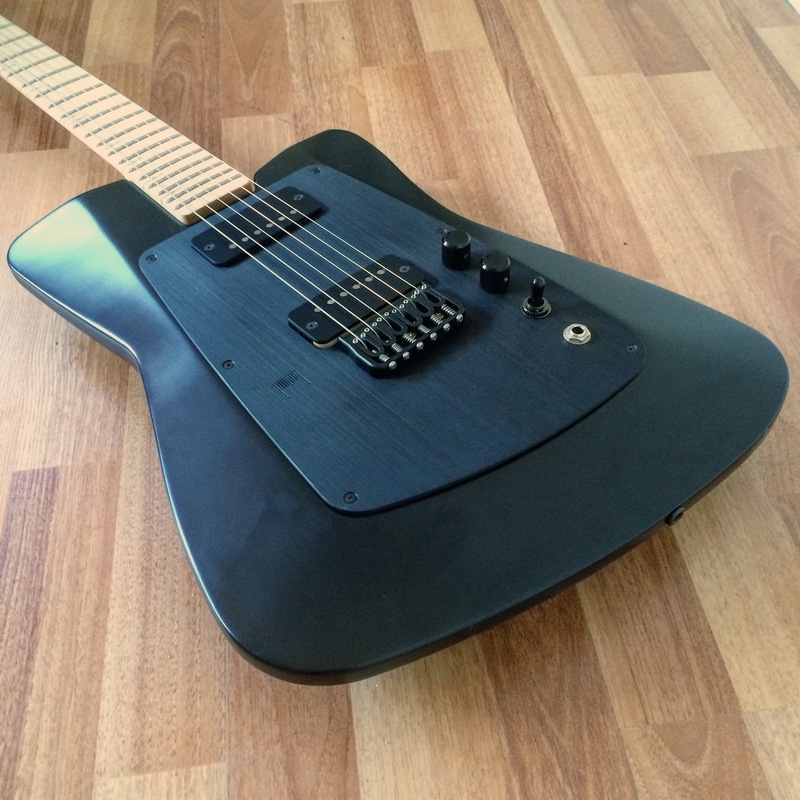 After receiving your order form, I will send you a complete invoice with all the details. 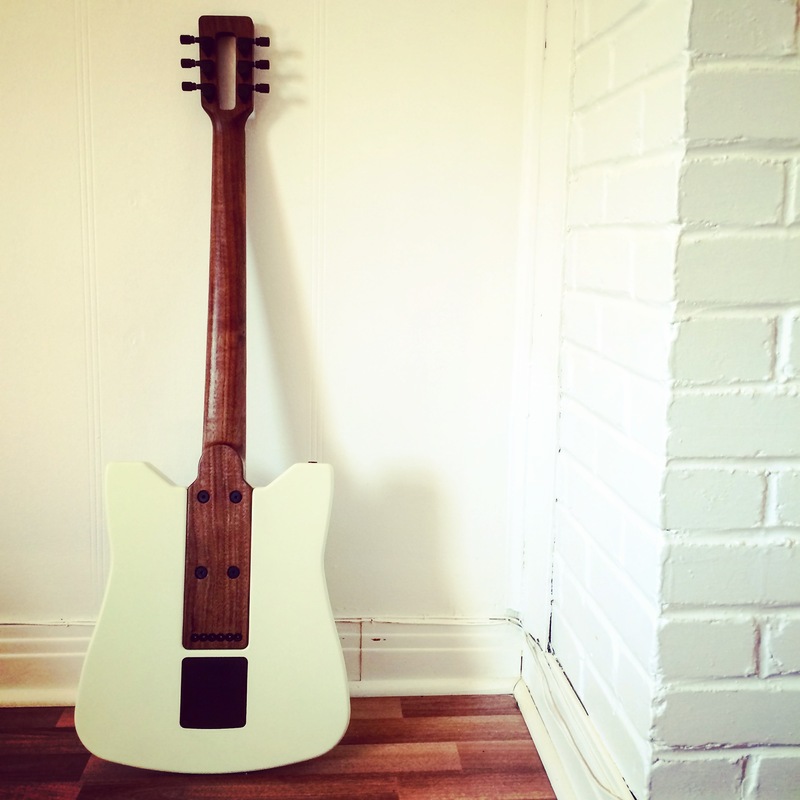 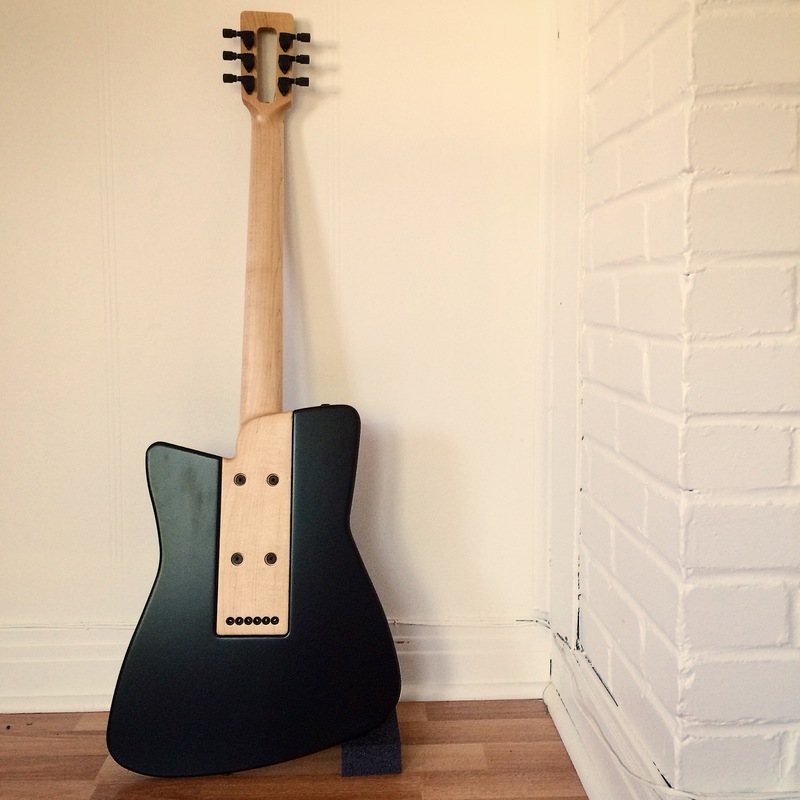 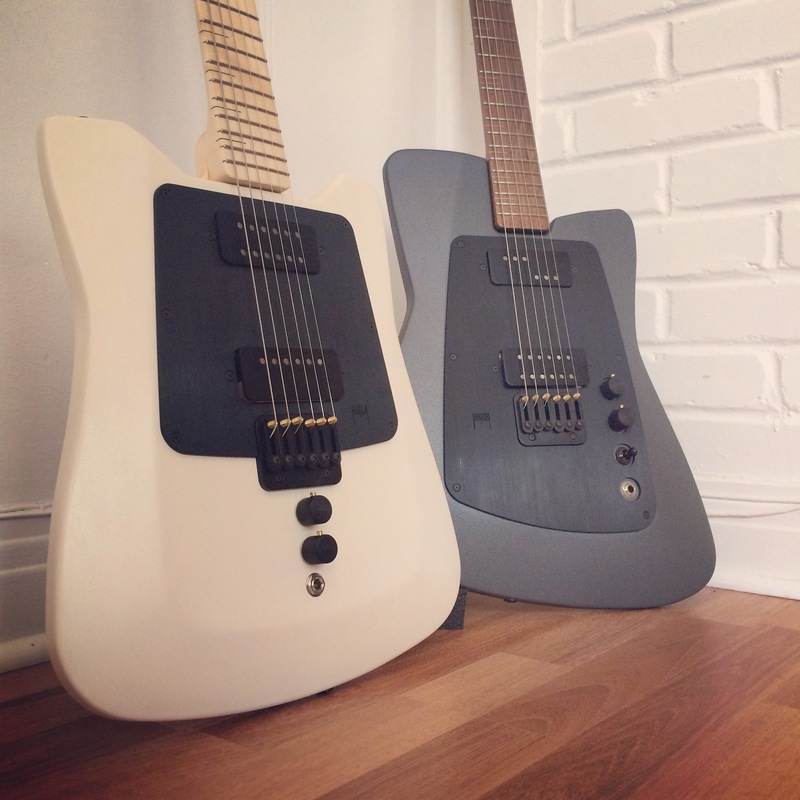 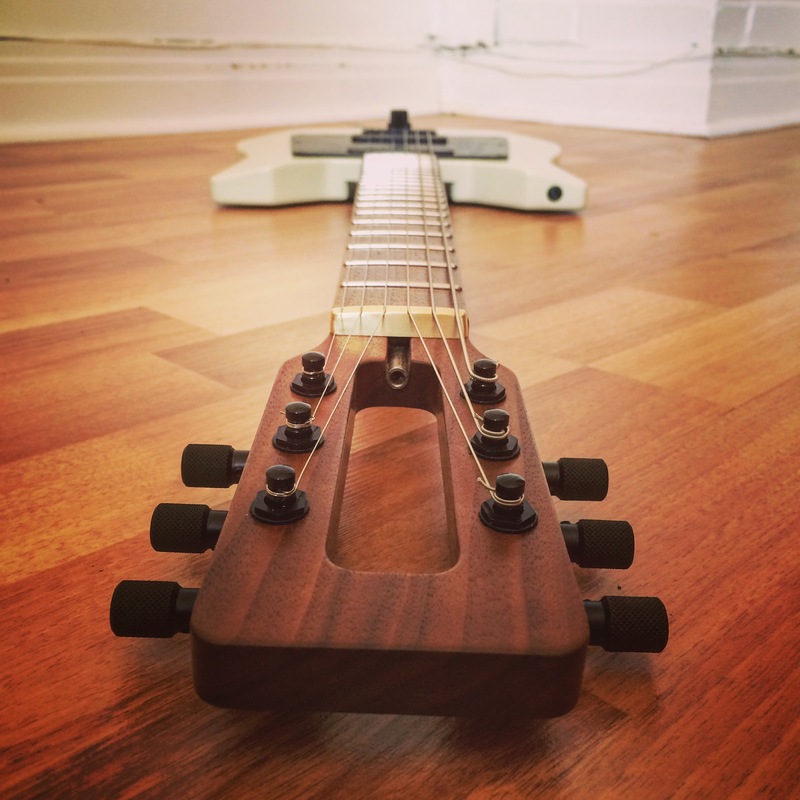 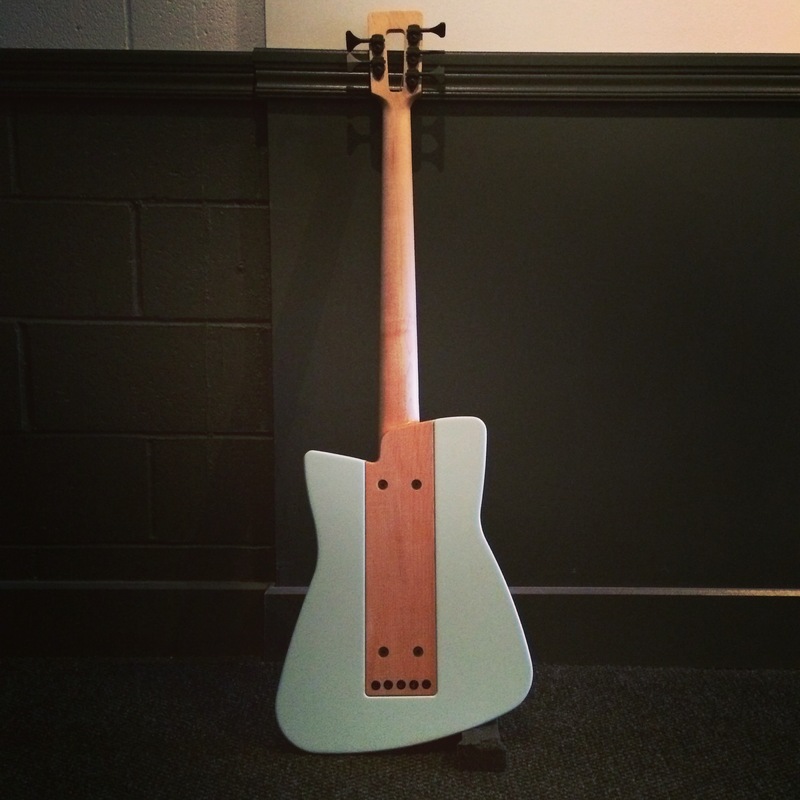 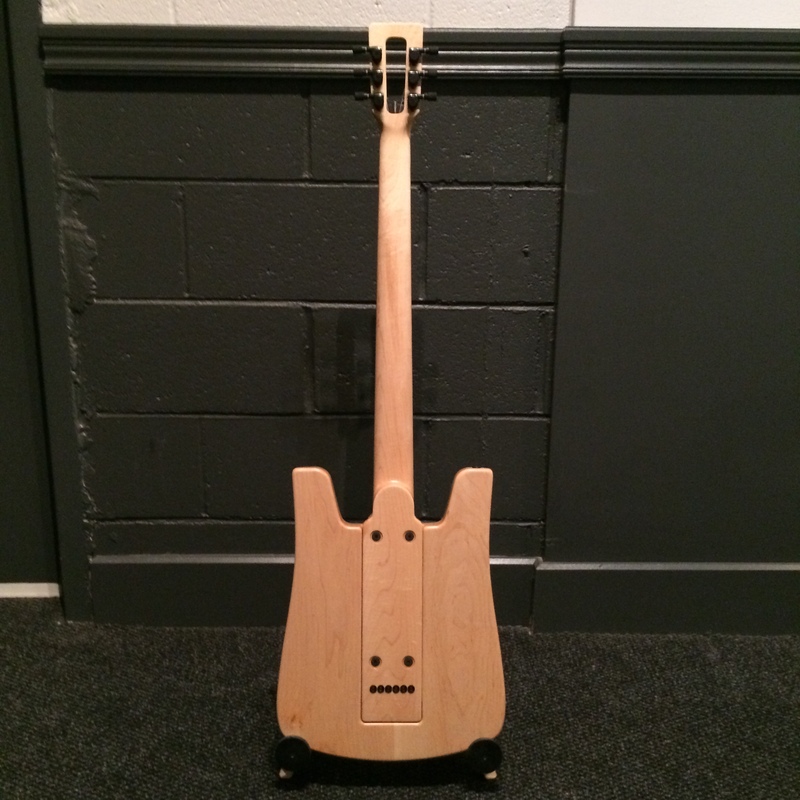 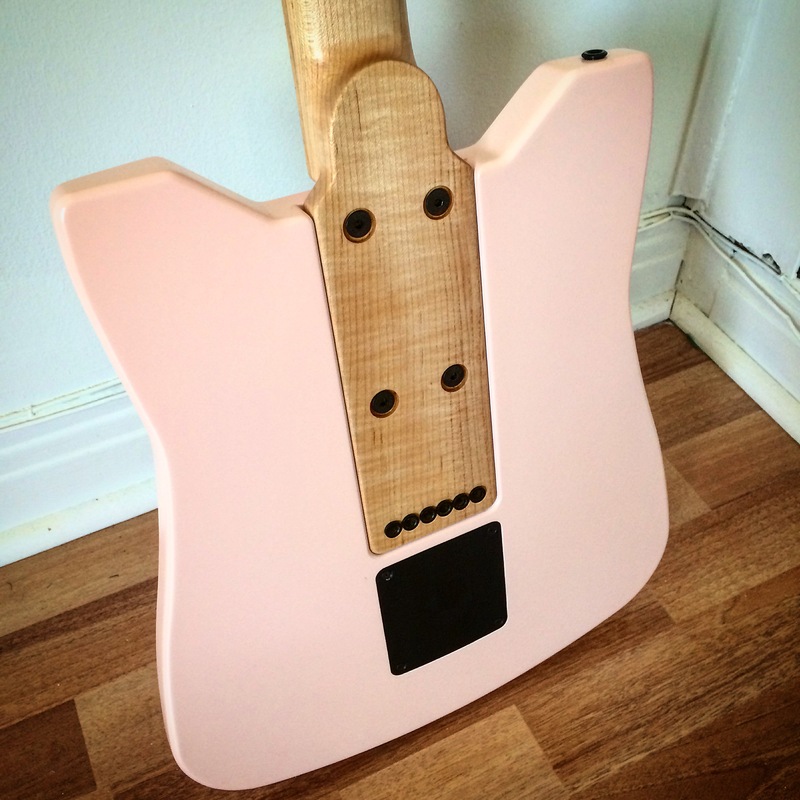 A 50% deposit is needed to get you on the build list and start your instrument. 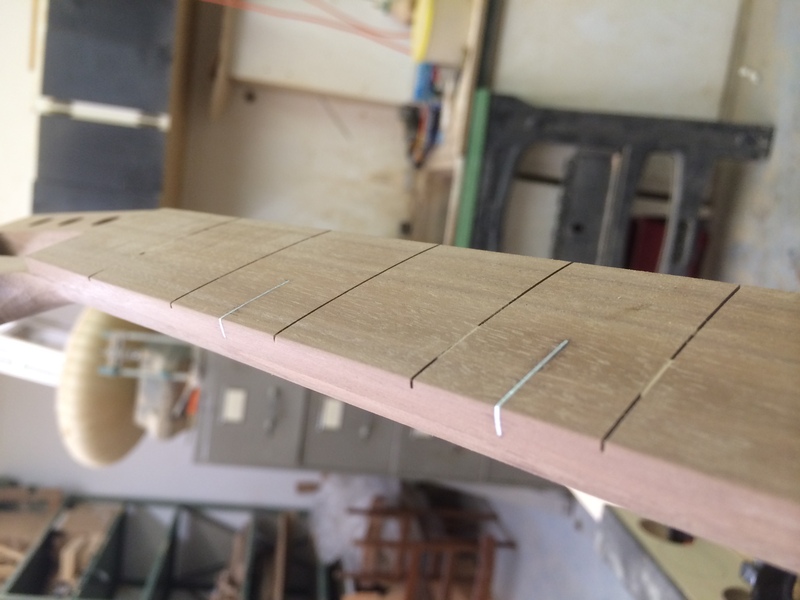 Wait time depends on the current workload I have. 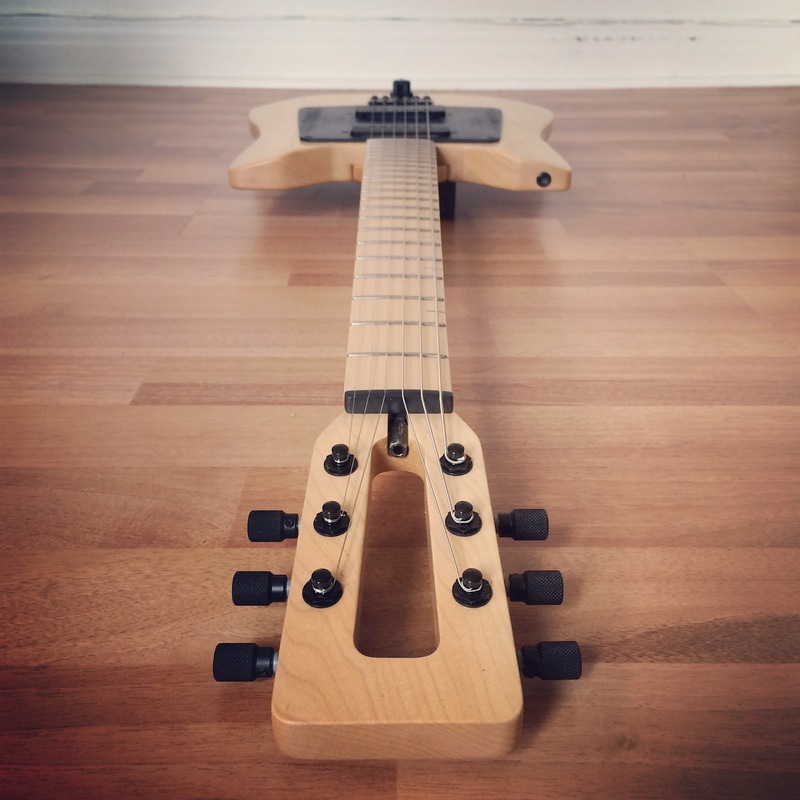 The deposit is non refundable and it is your responsability to have the money ready for final payment once the instrument is ready to ship. 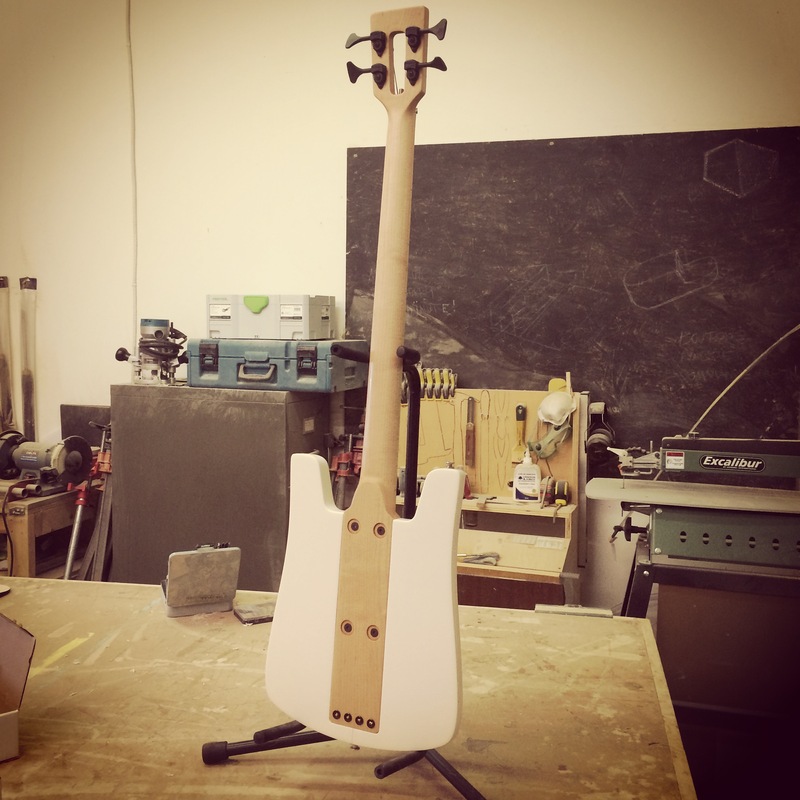 Communication is very important for me and you will get multiple updates and pictures of the build process. 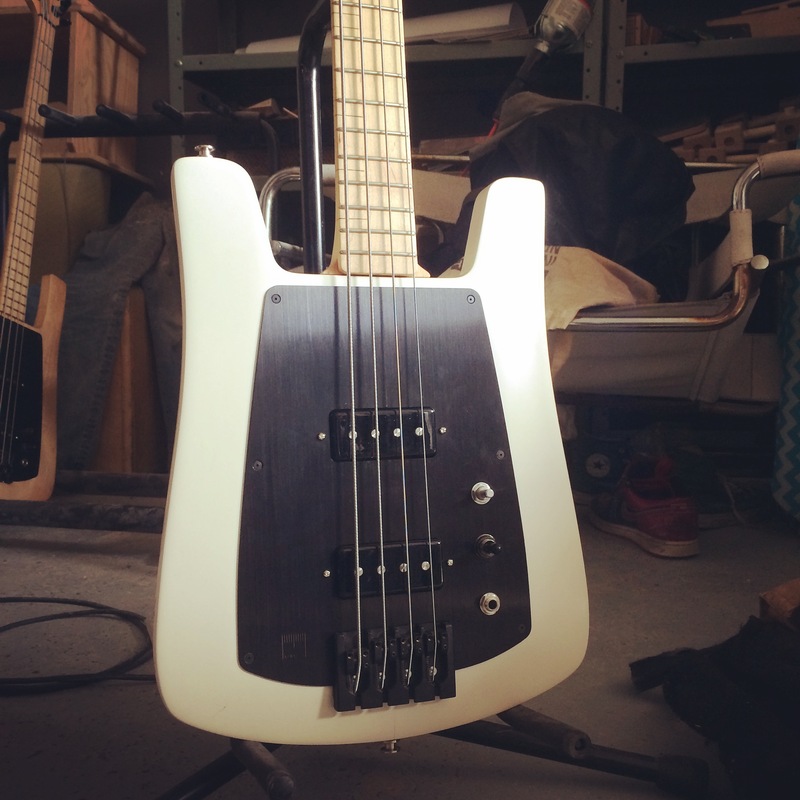 I usually answer any questions within 24h 7/7. 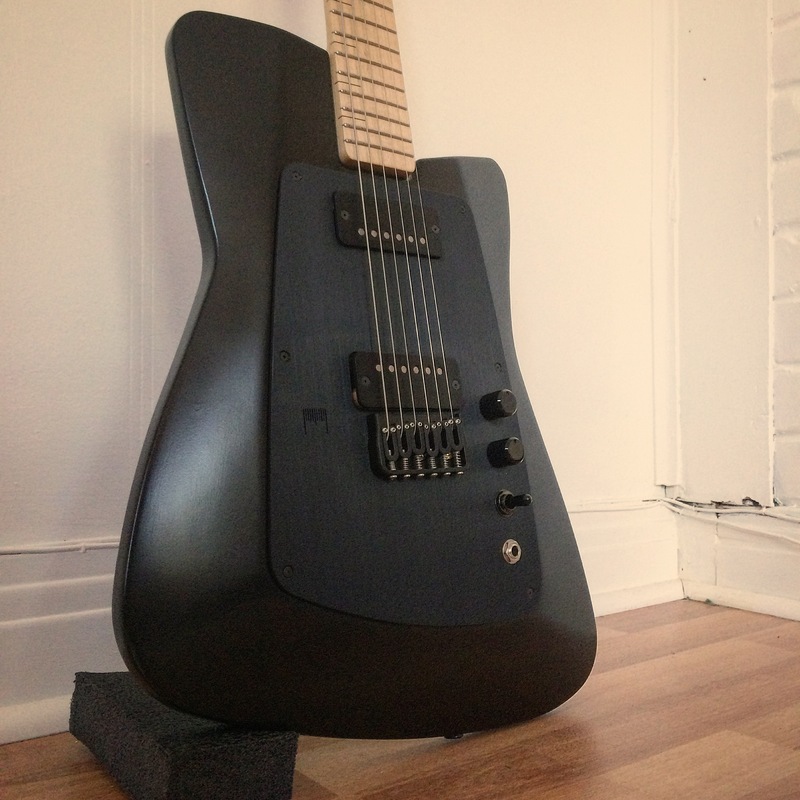 I thank you in advance for doing buisness with me. 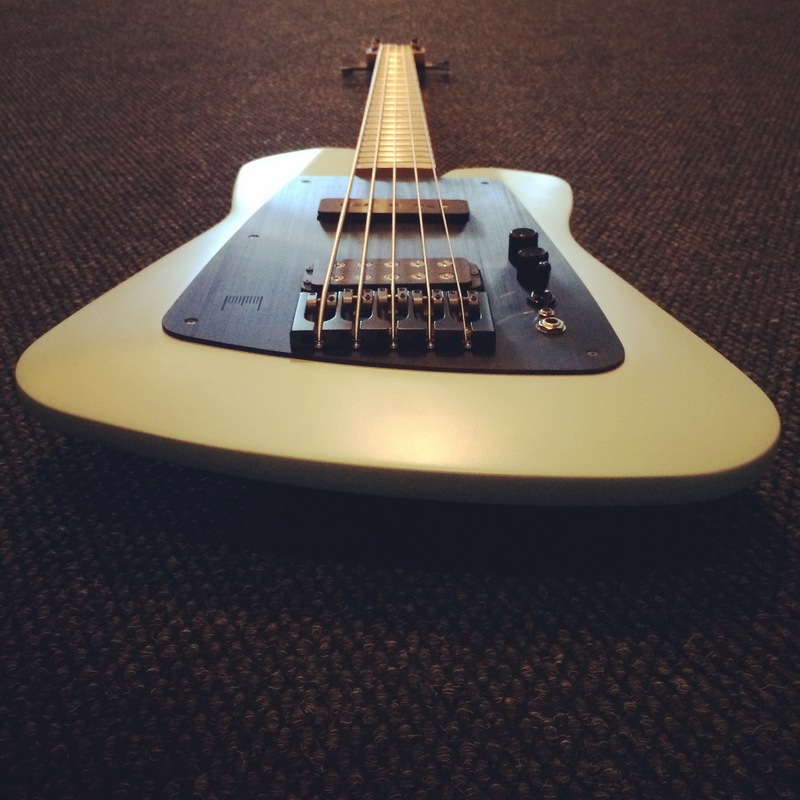 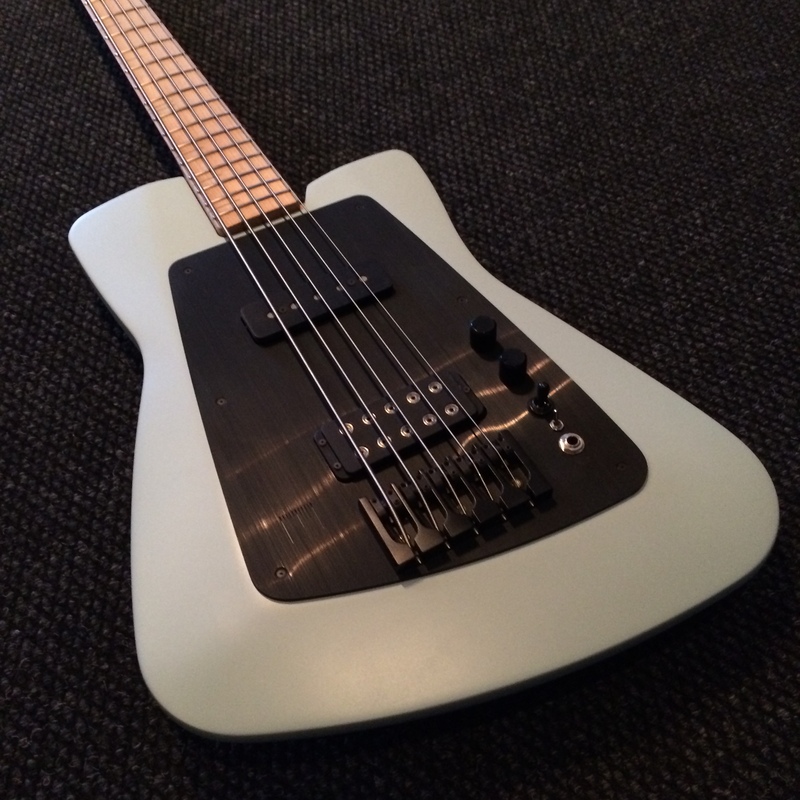 MGB6 Is the baritone version of the bass. 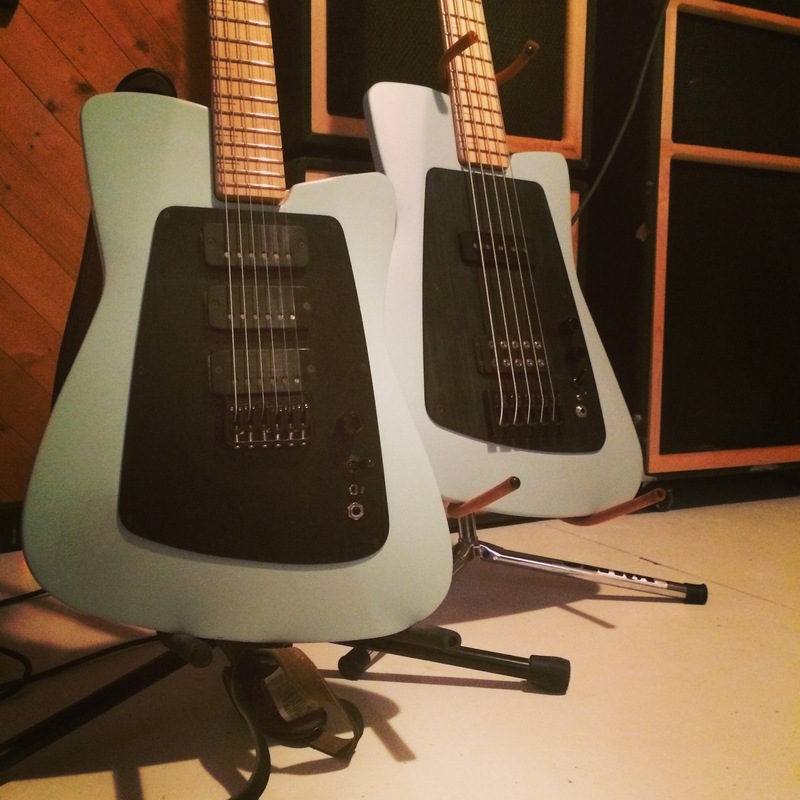 They share the same body shape and are available in 28 and 30' scale. 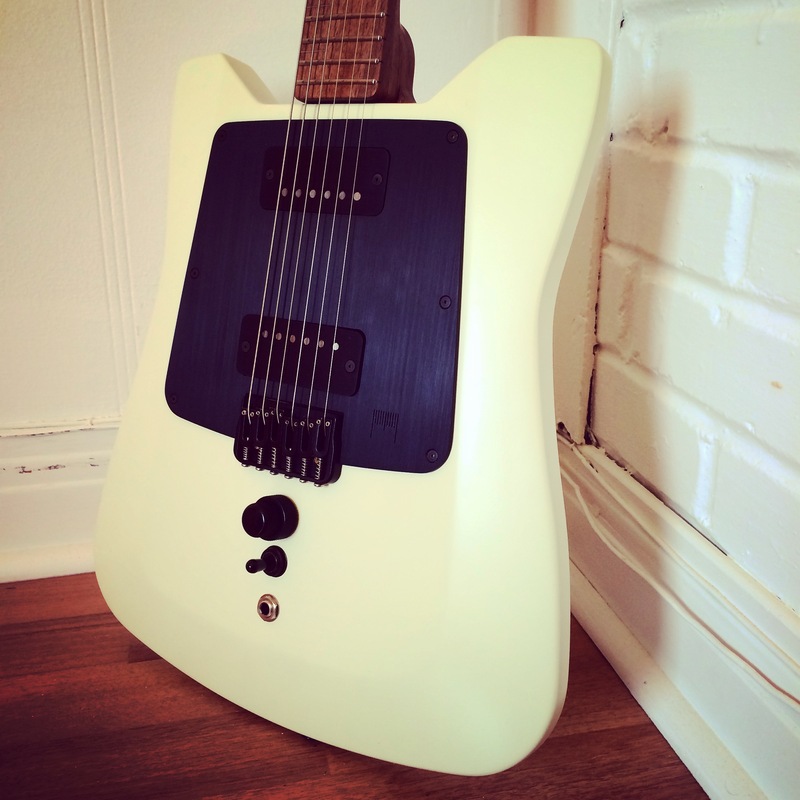 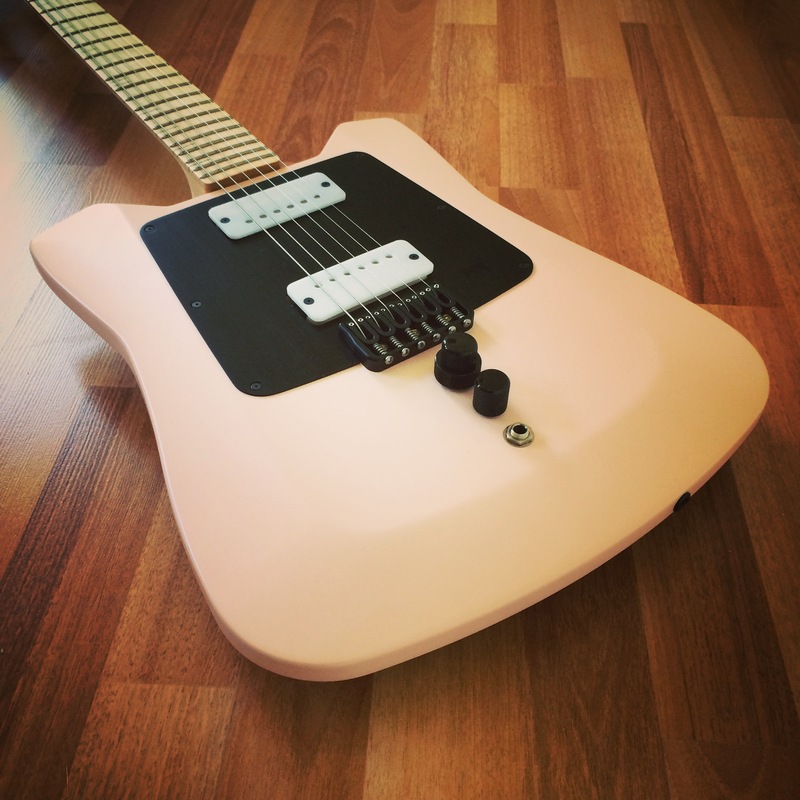 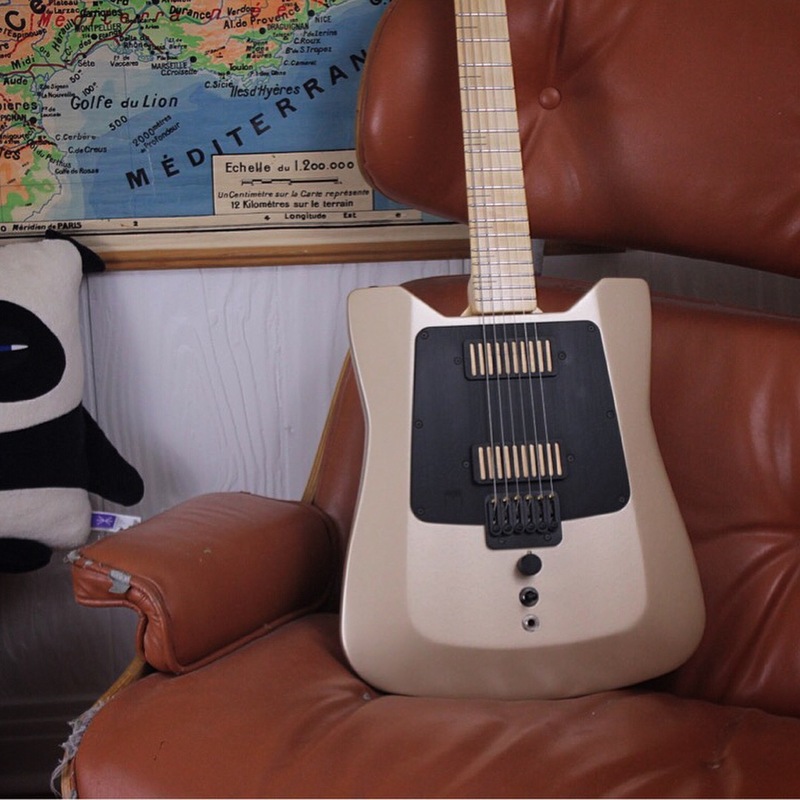 Using the same body shape makes the MGB6 a well balanced and great looking baritone guitar. 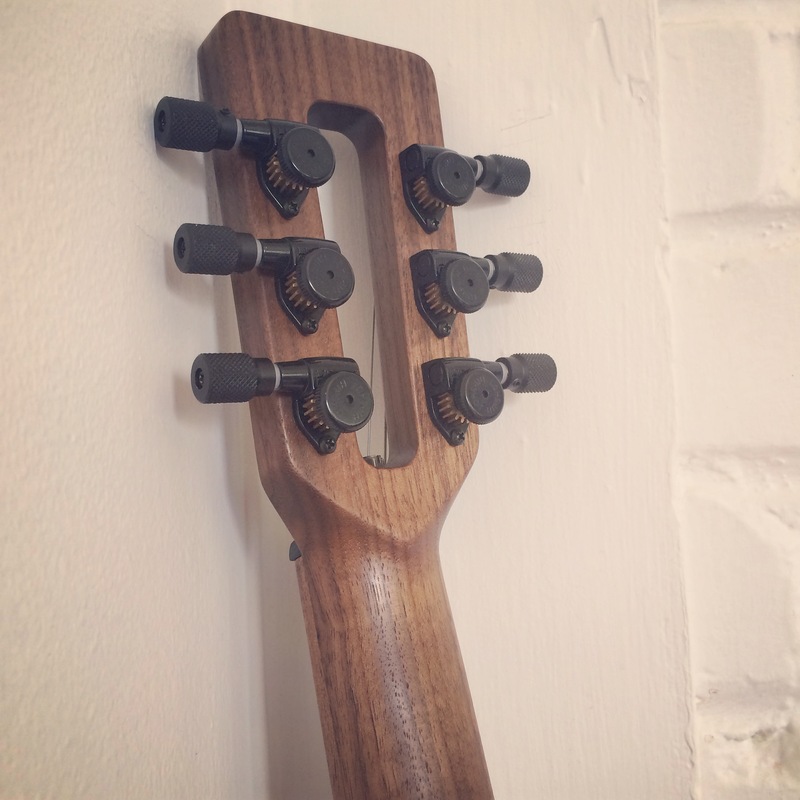 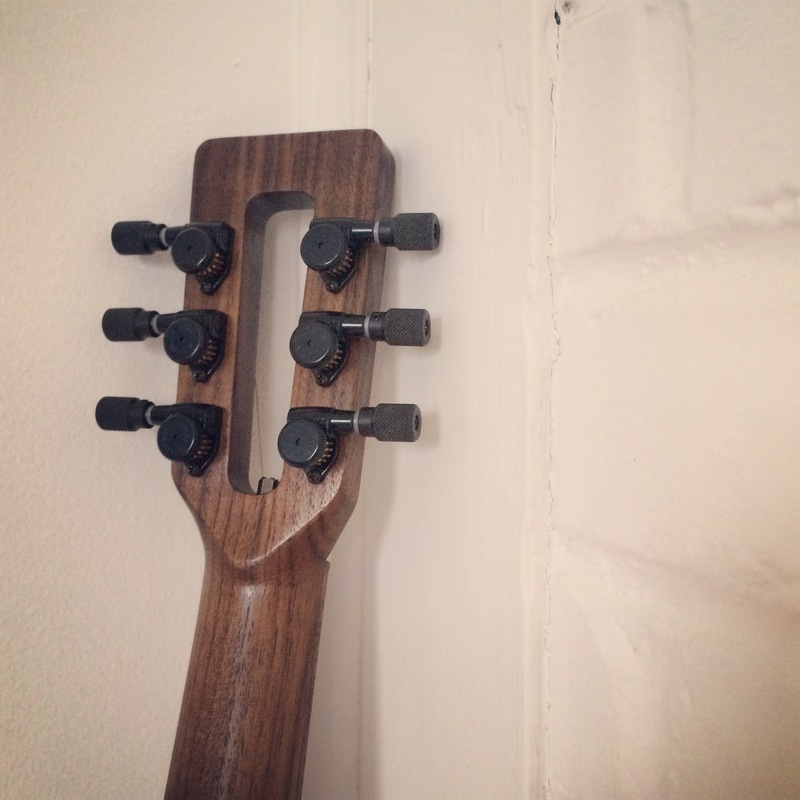 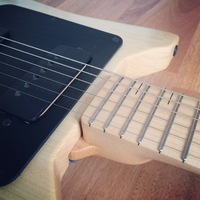 String spacing is the same as the guitars but the width of the nut is actually bigger so you get more room between strings in the lower part of the neck. 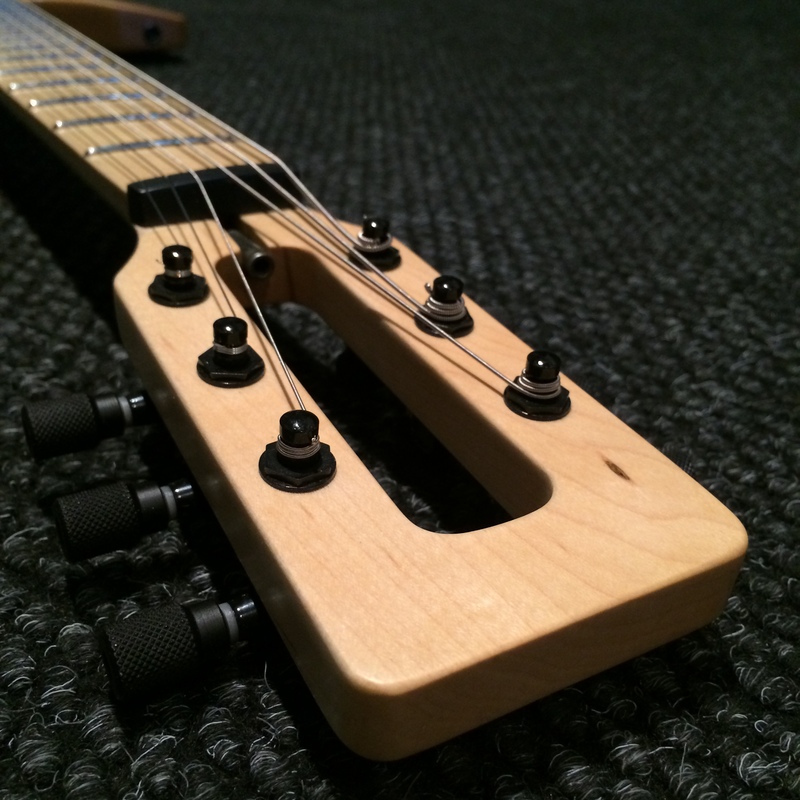 This type of instrument is perfect for low tunings and bass players or guitarists who want to play in both ranges. 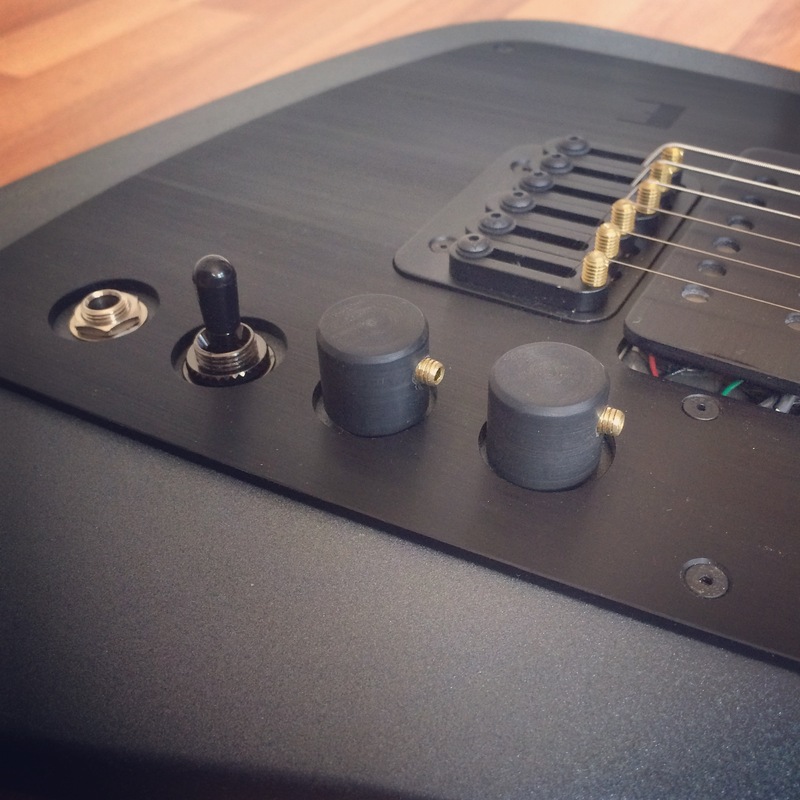 Usually made to order, you can choose your pickups, neck profile, colors, wood. 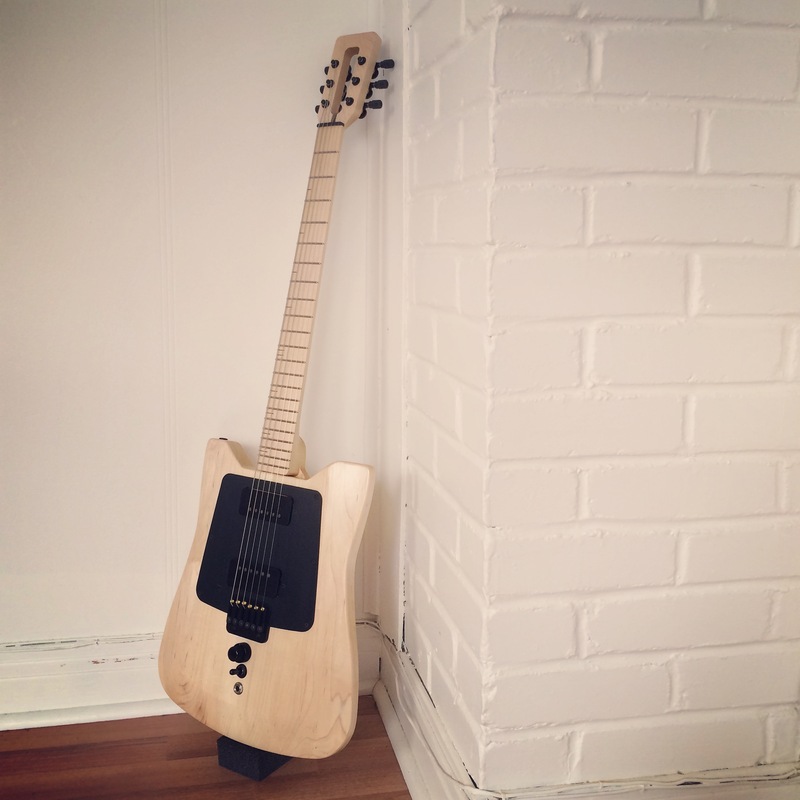 2800$ CAD with case plus shipping. 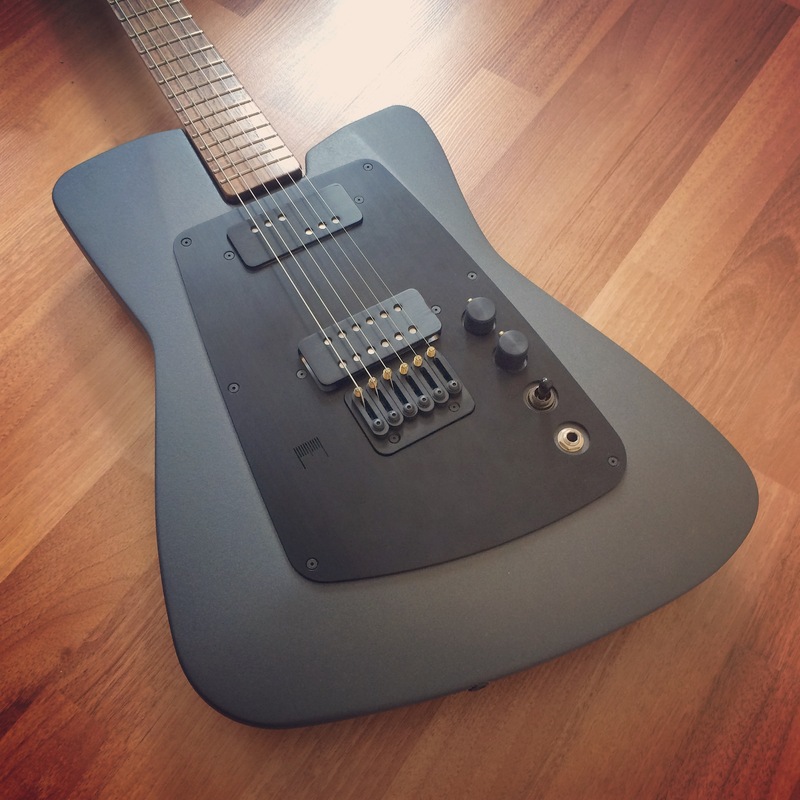 MGS2 is the new single cut design. 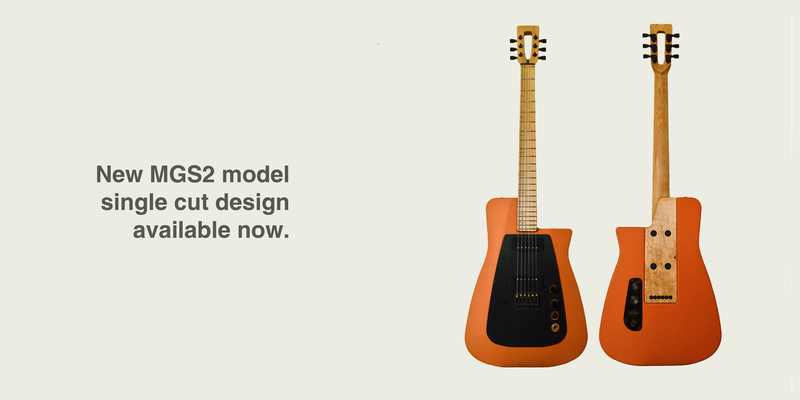 Inspired by classic designs from the past, but in a more straight forward and minimalist form. 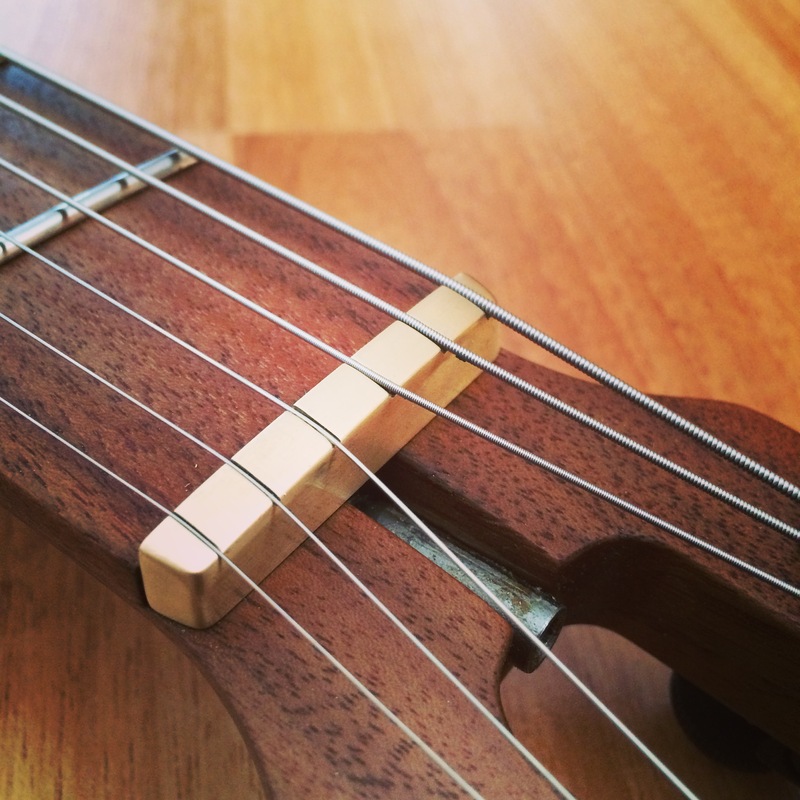 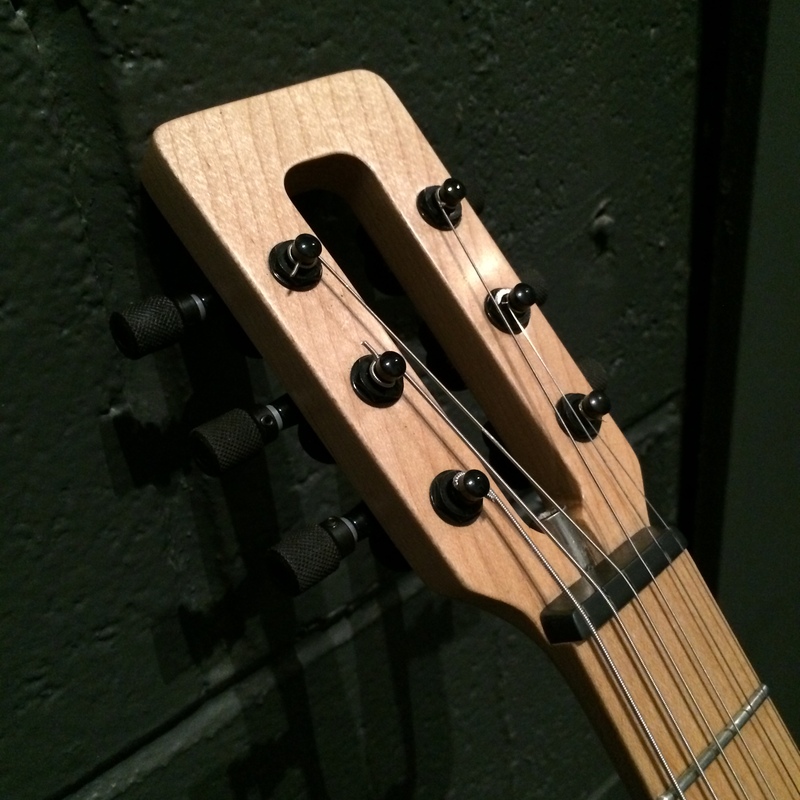 the new heel makes access to the upper notes of the neck very easy and fast. 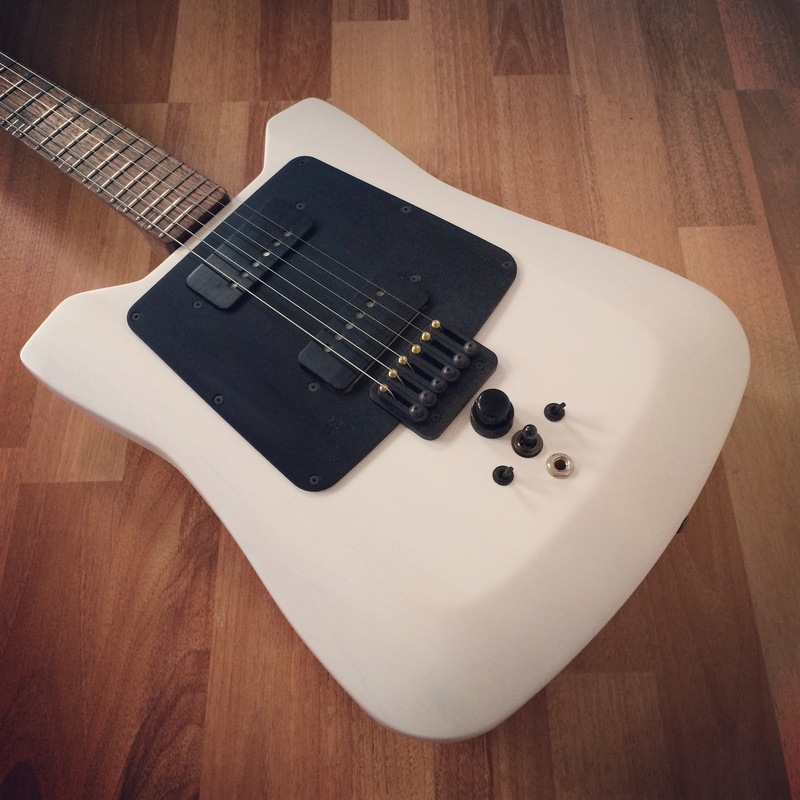 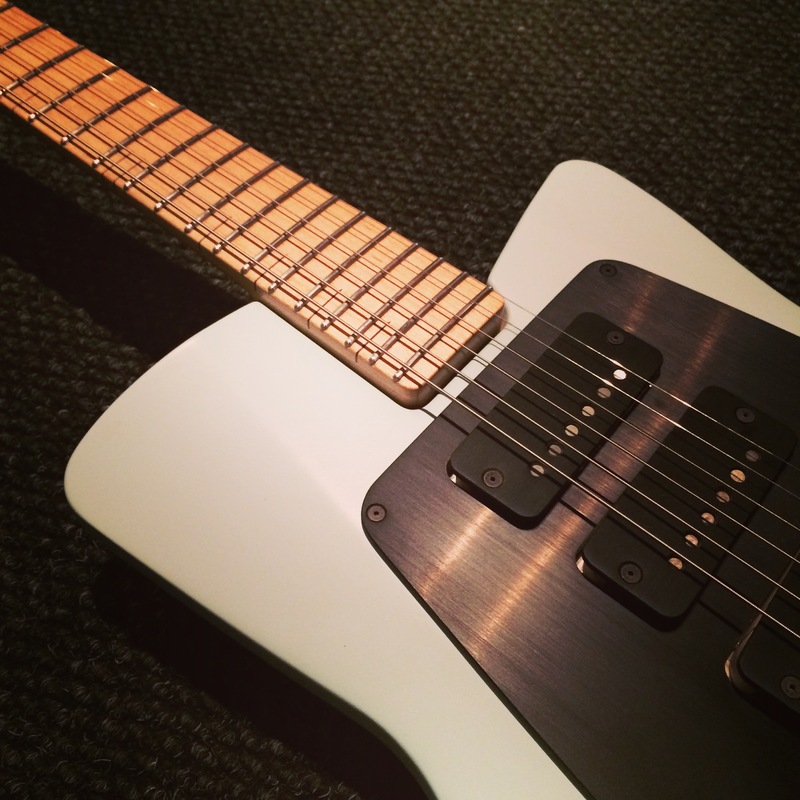 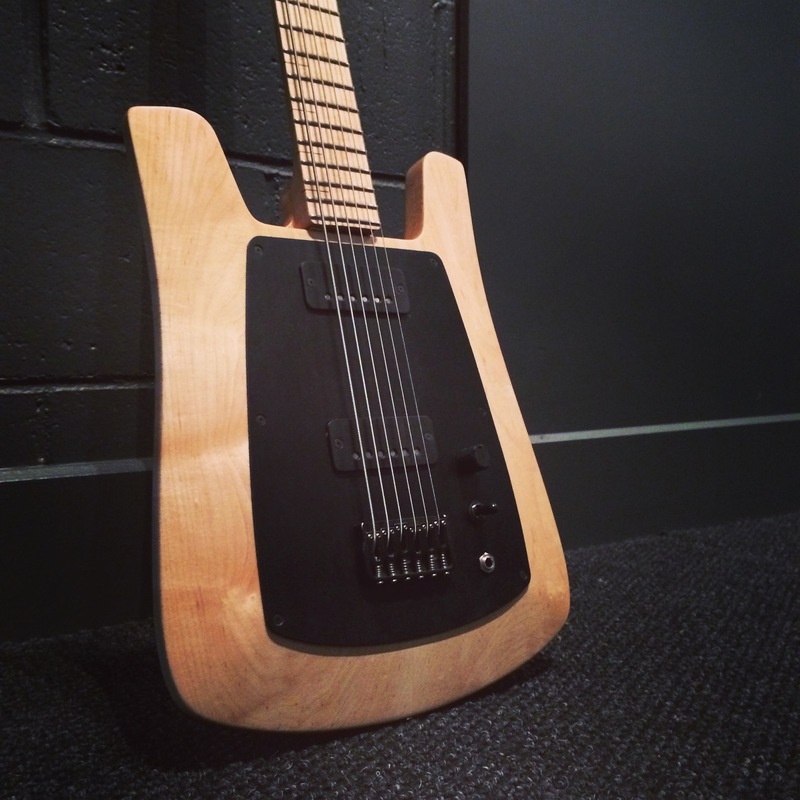 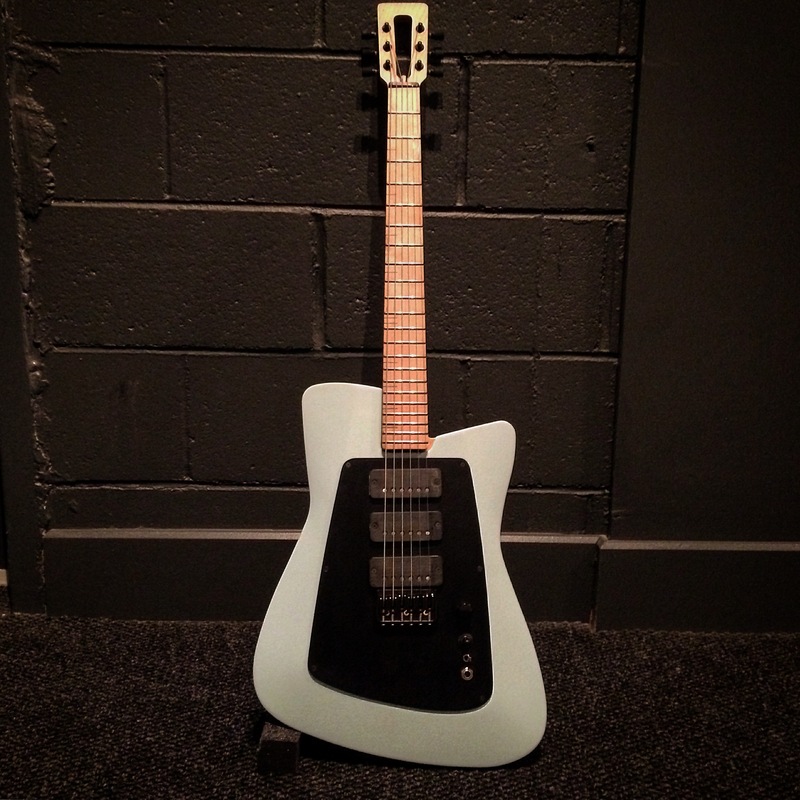 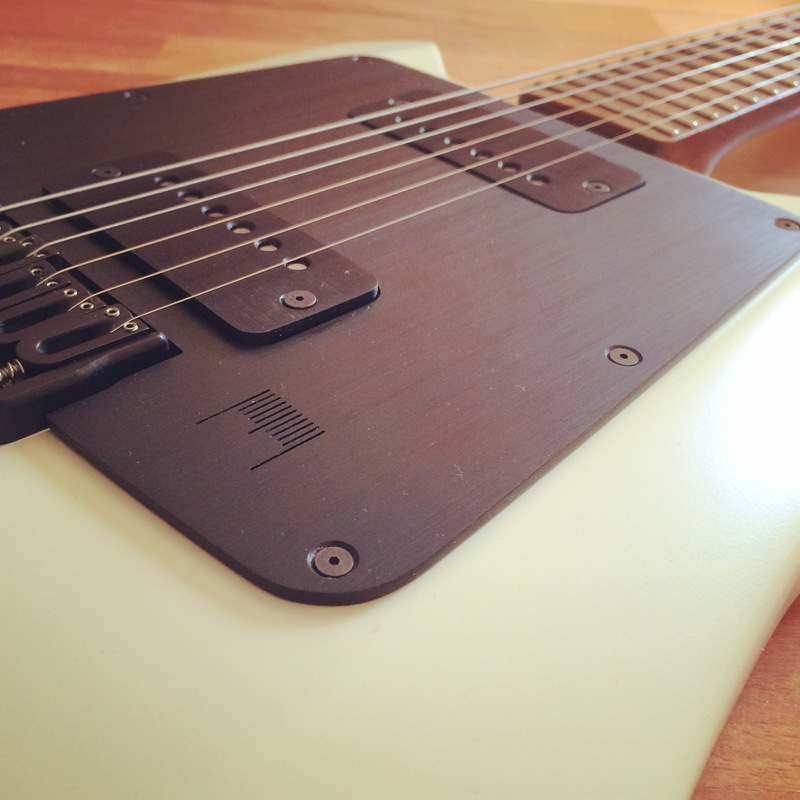 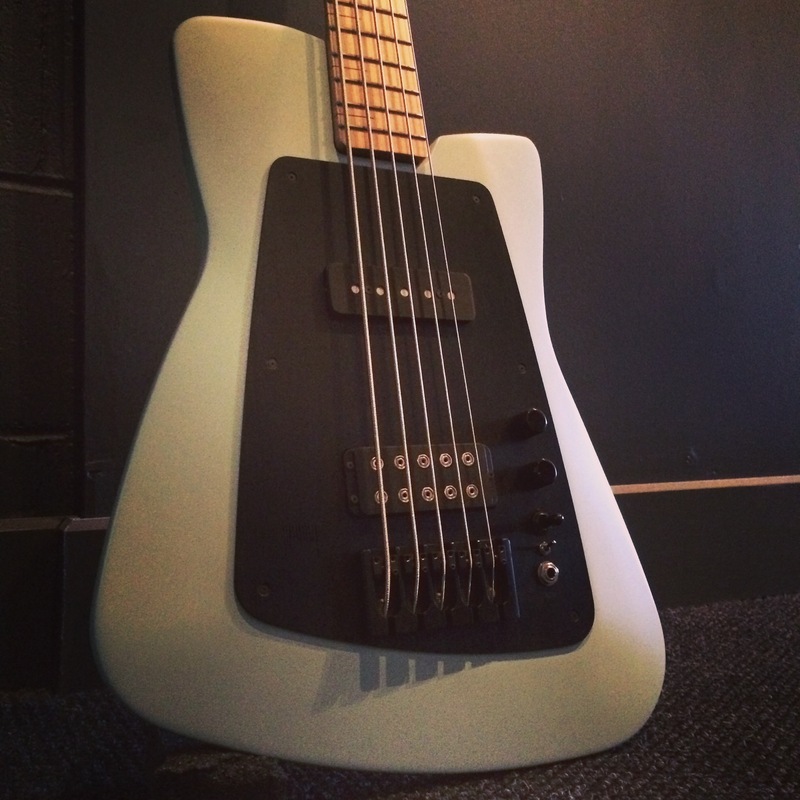 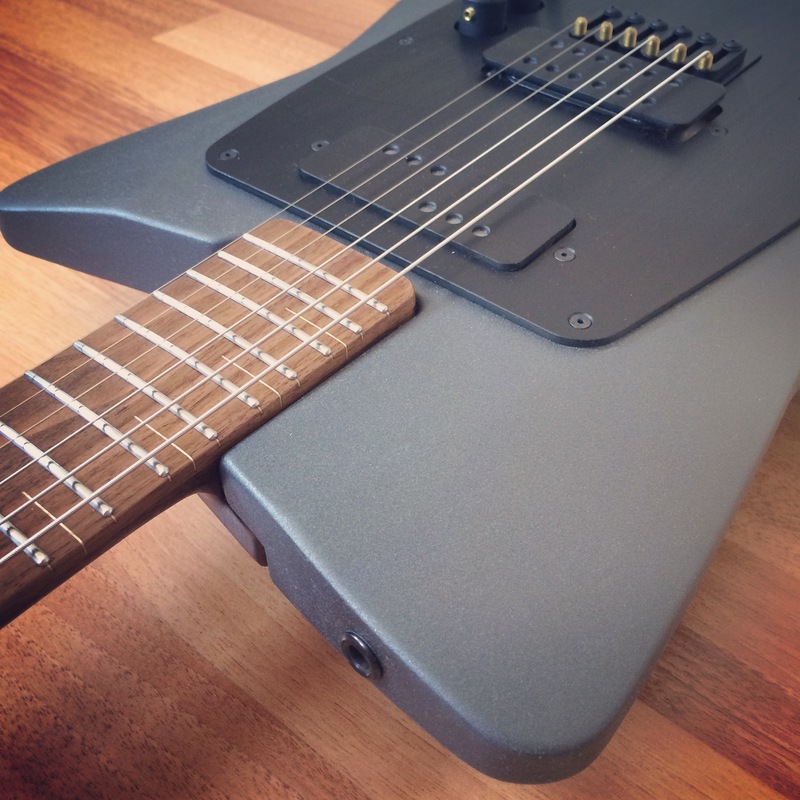 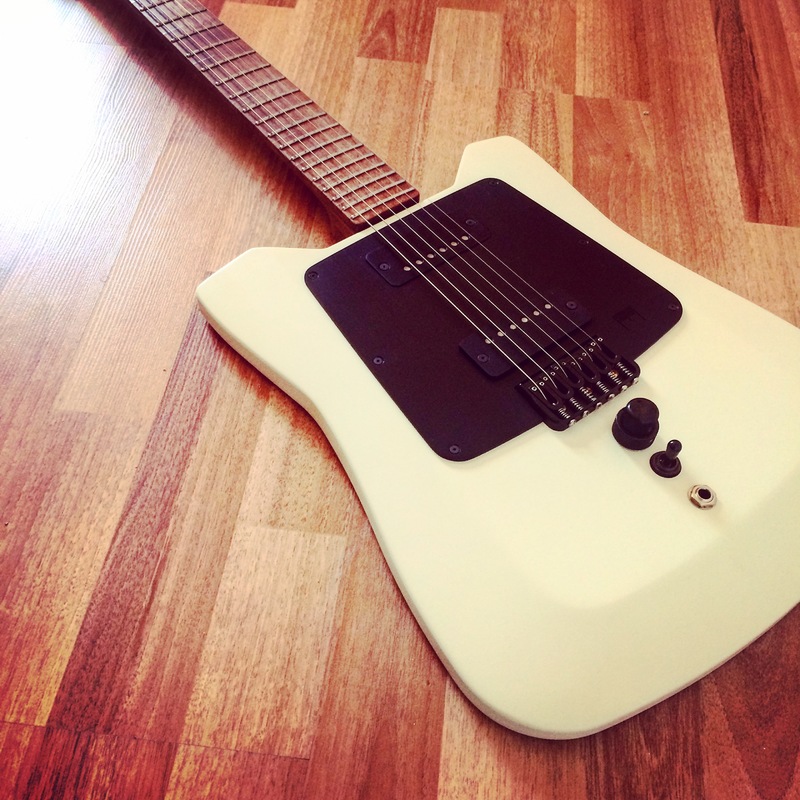 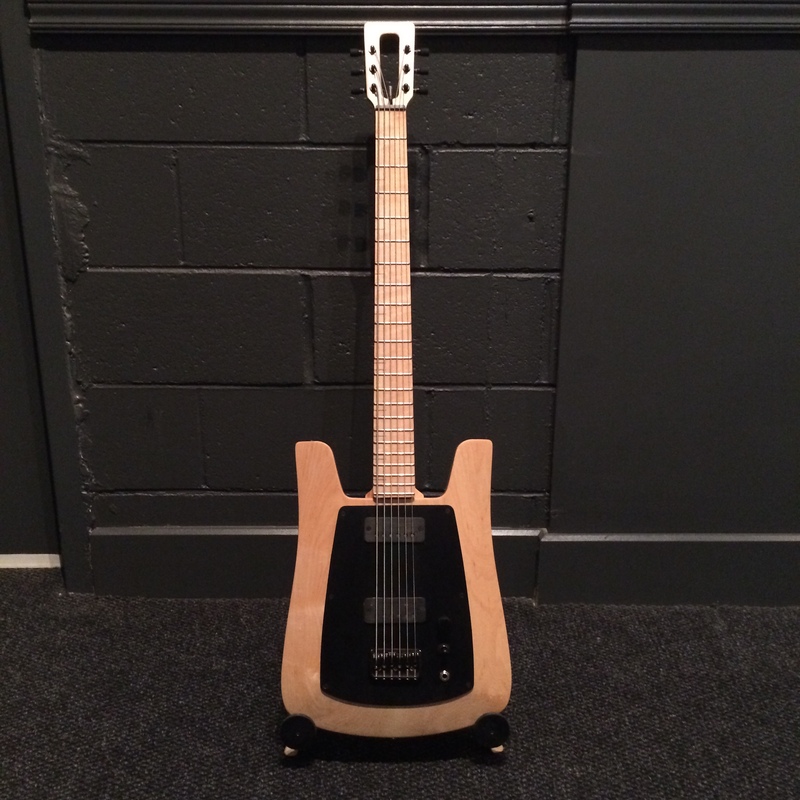 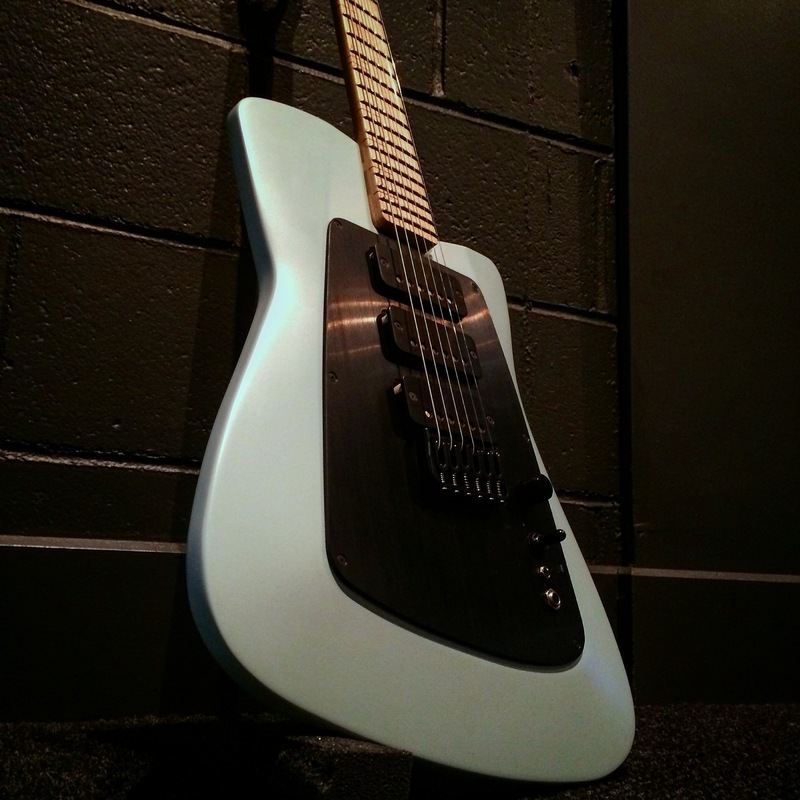 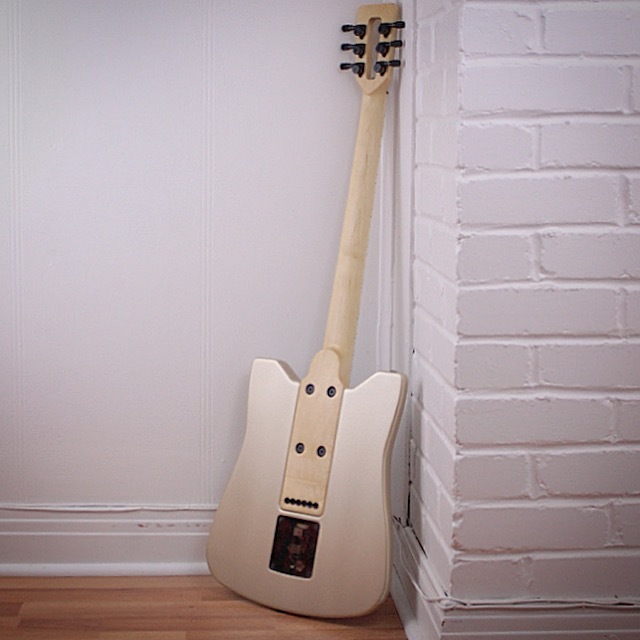 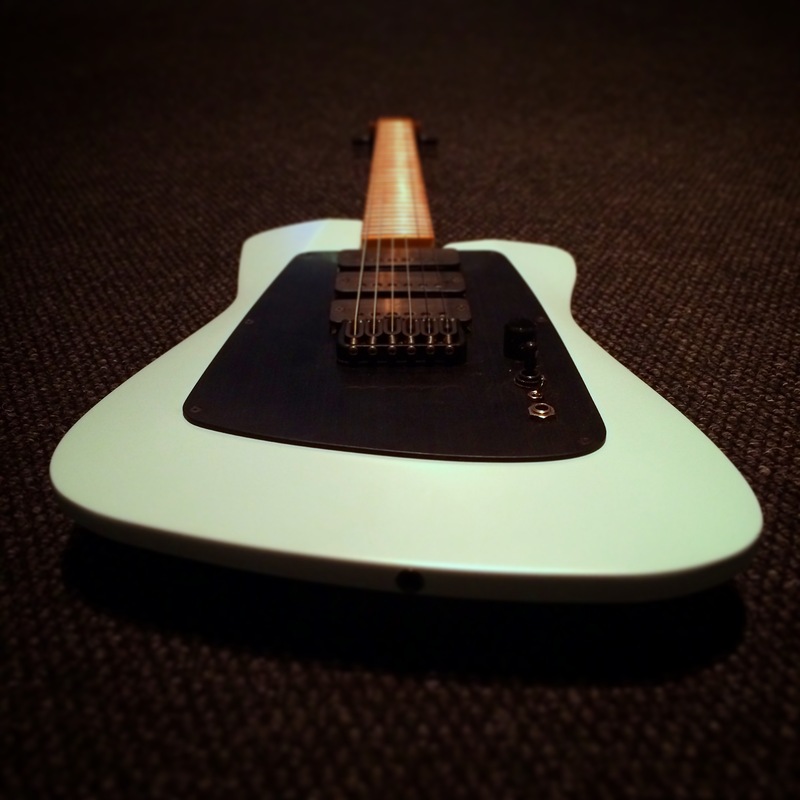 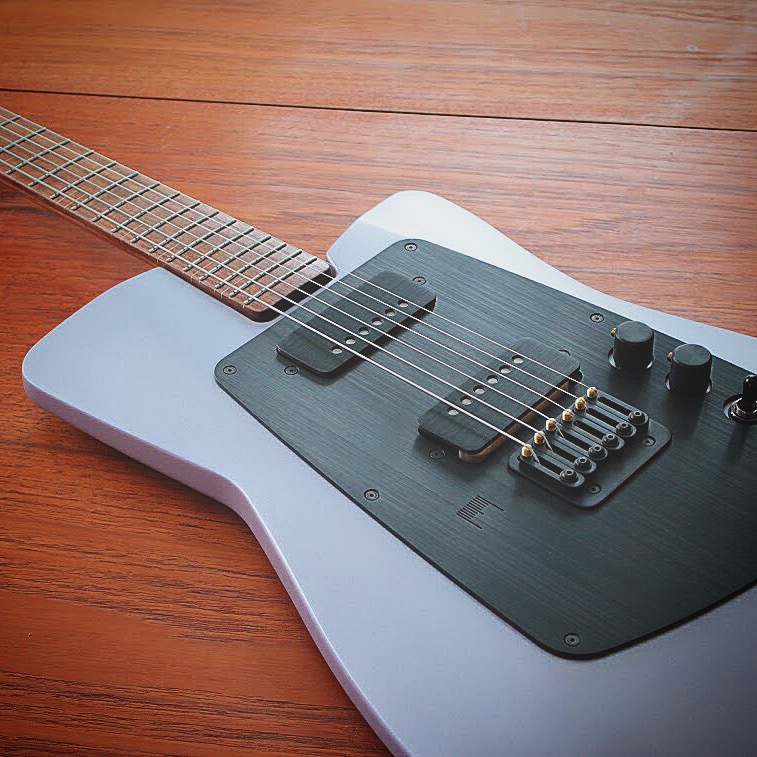 This is the first model to use a zero fret and 25,5 scale lenght. 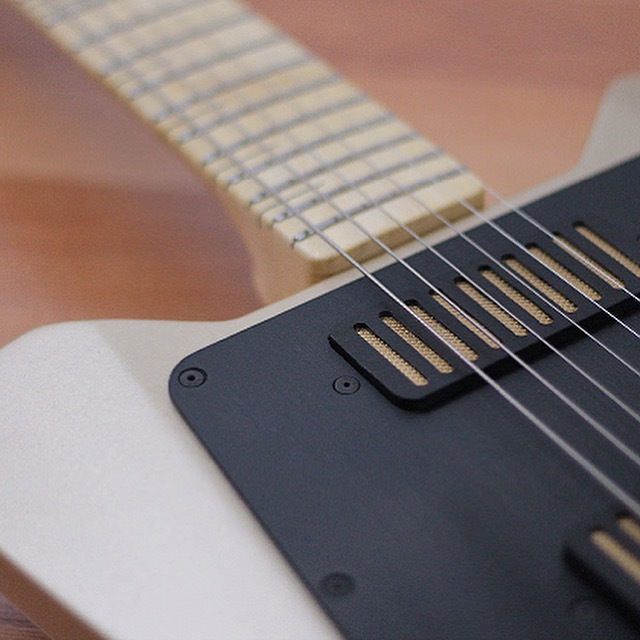 Made to look modern and visionary, you will not go unnoticed playing this instrument. 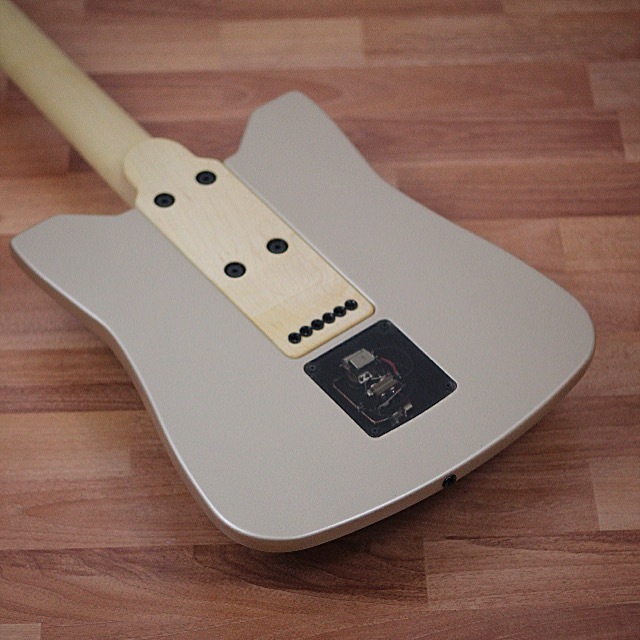 Made to order, you can choose your pickups, neck profile, colors, wood. 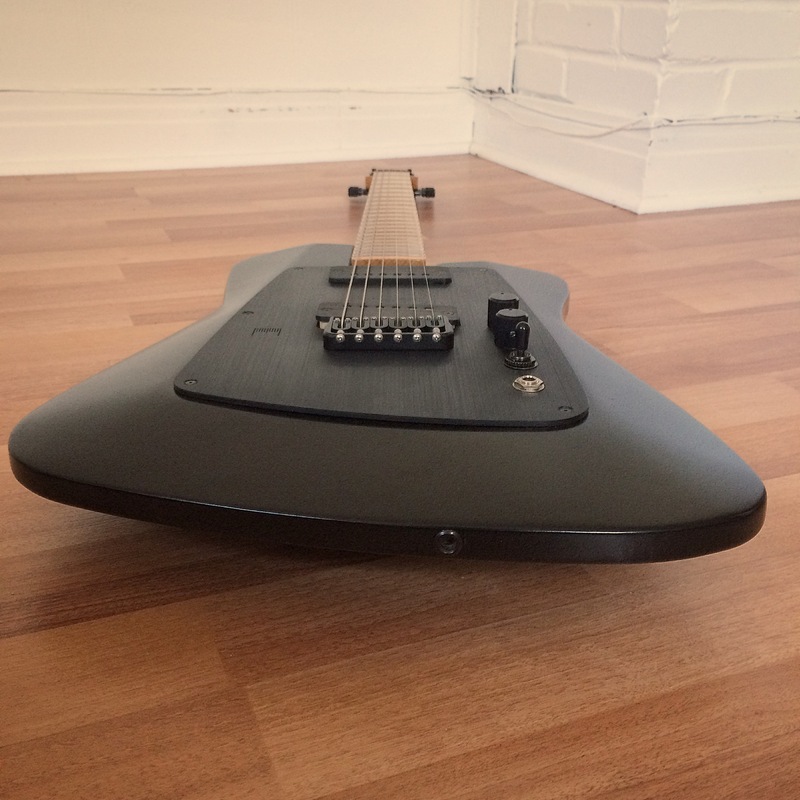 2700$ CAD with case plus shipping. 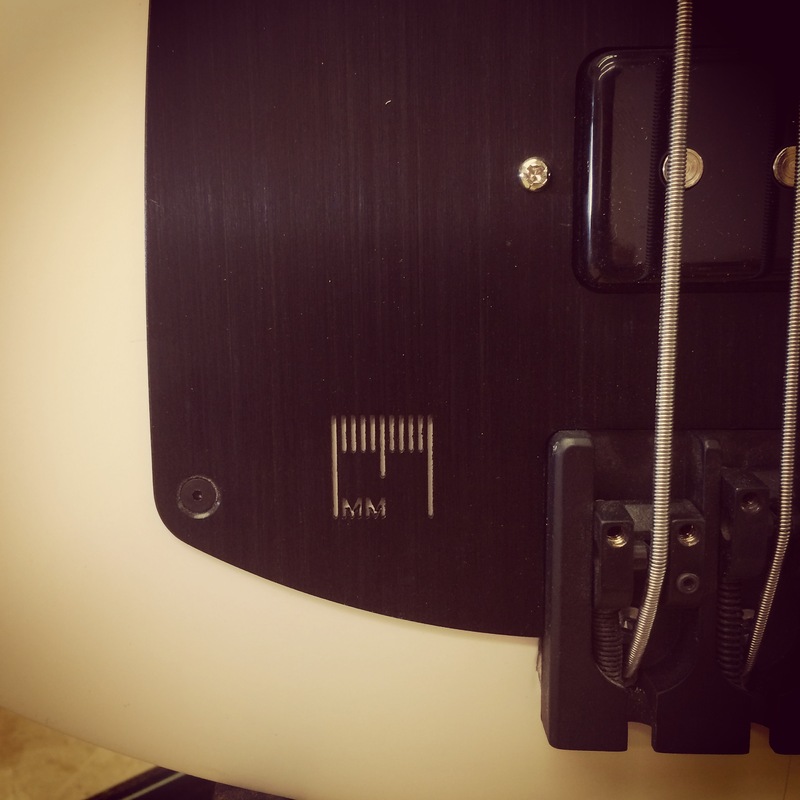 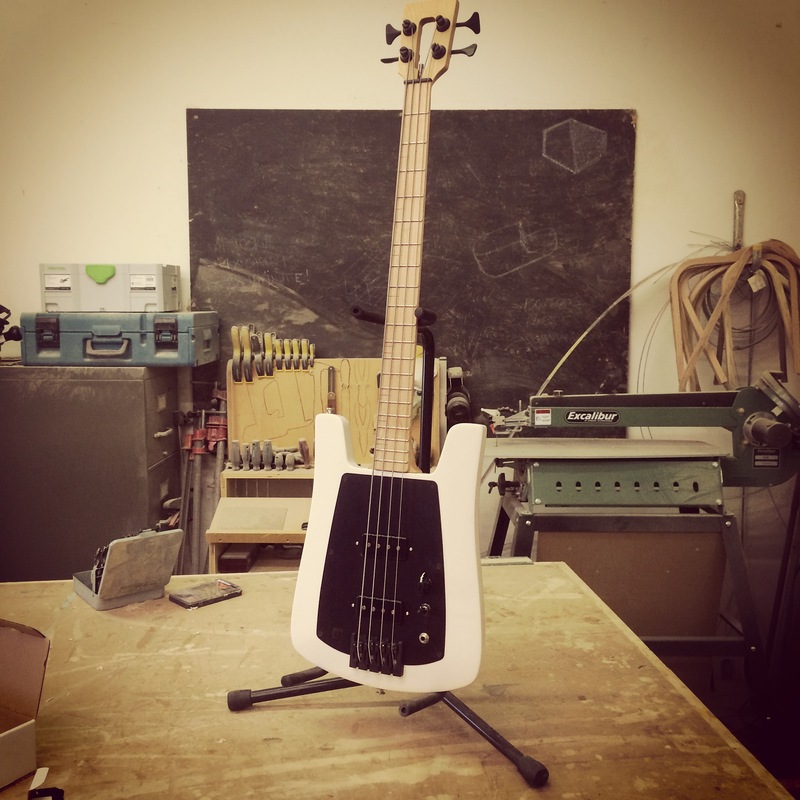 MB4 is the first Millimetric 4 string bass model that has ever been designed. 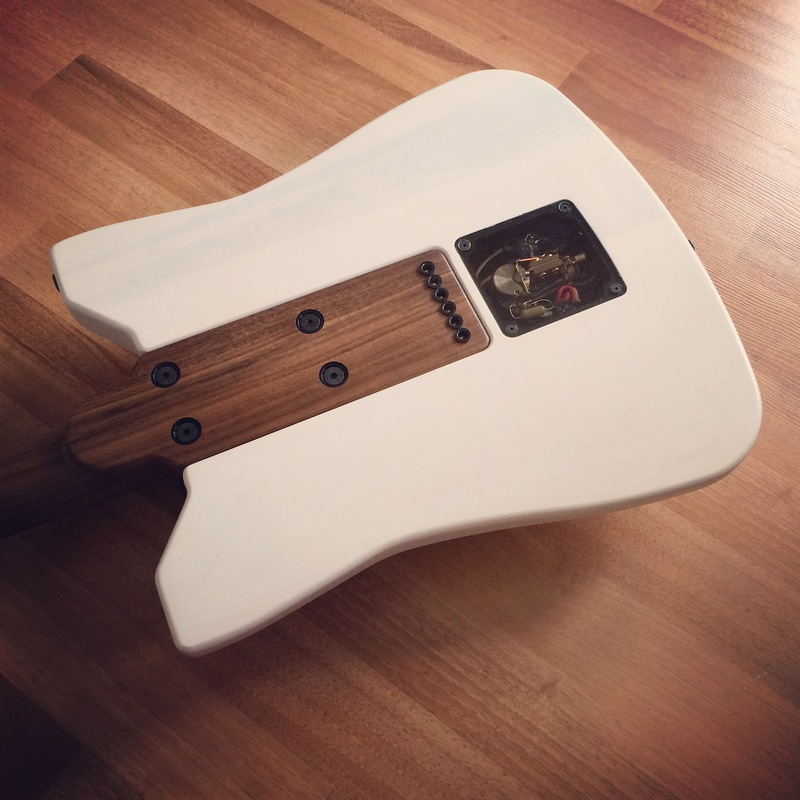 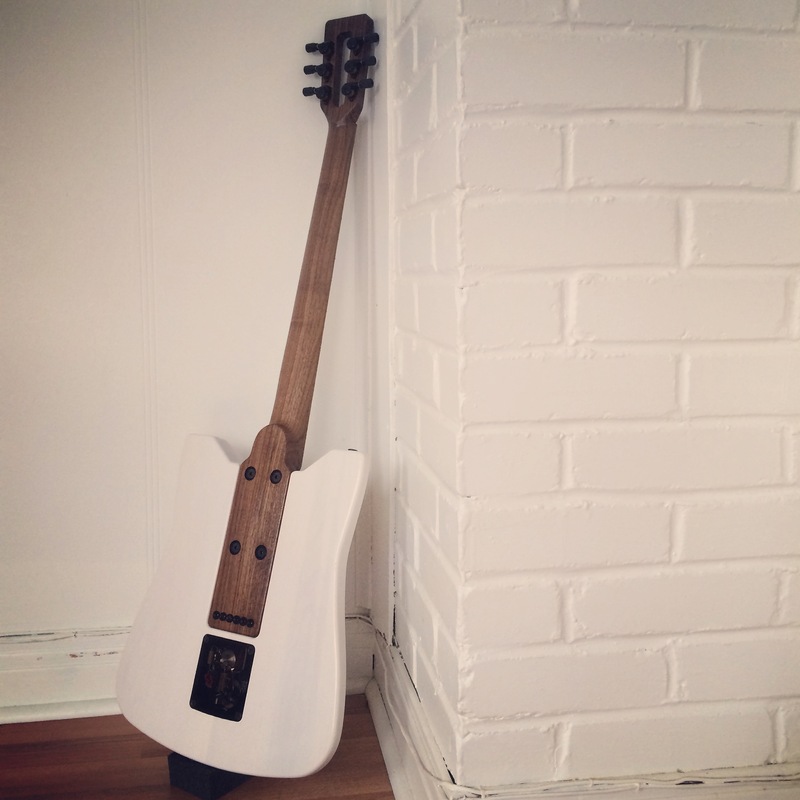 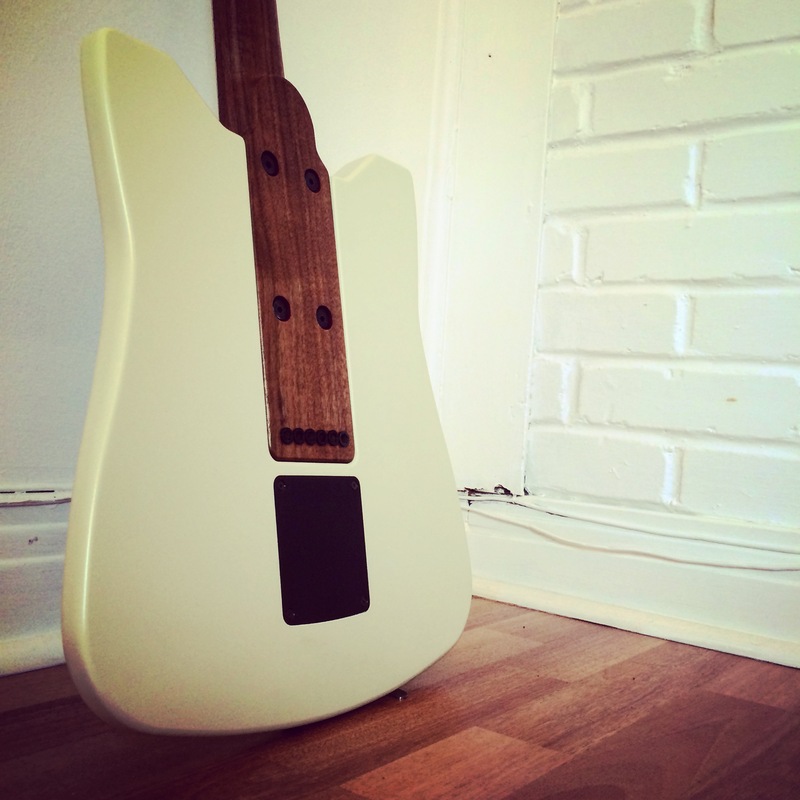 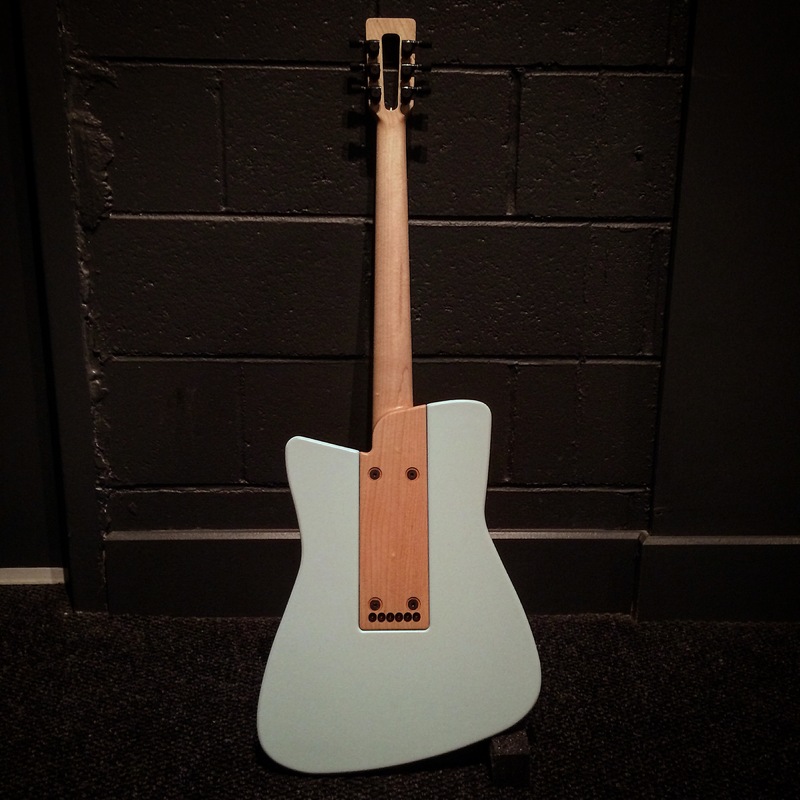 The neck design has been inspired by Travis Bean. 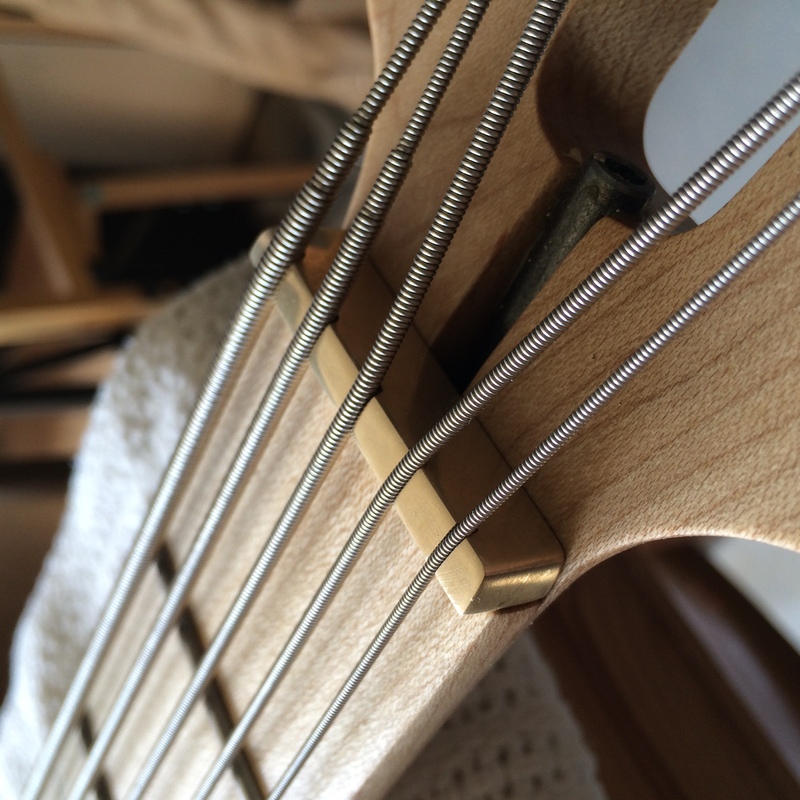 Made to be ambidextrous, left handed players will have a bass that looks right. 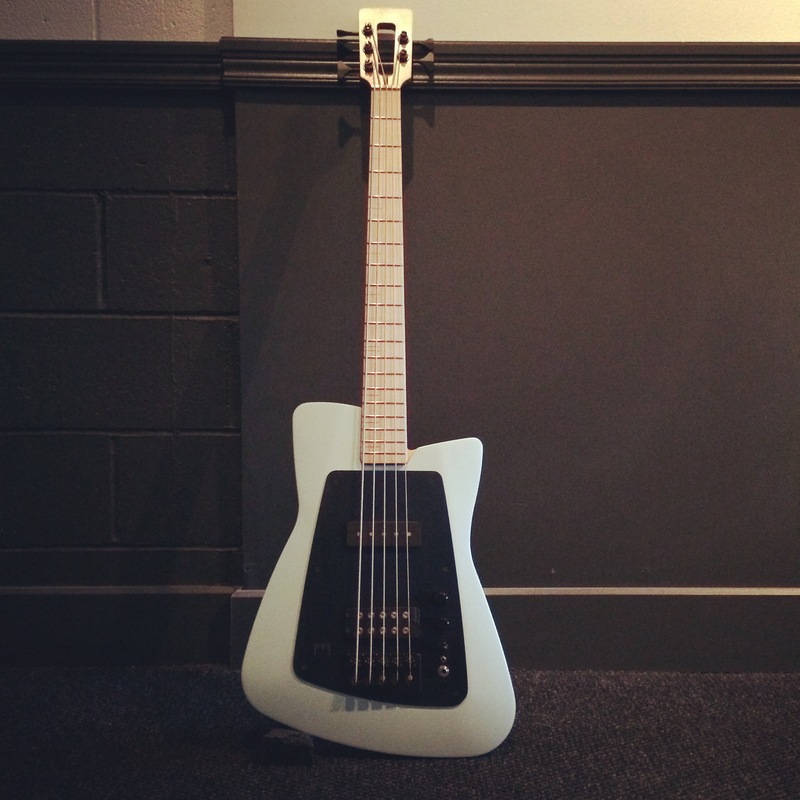 This bass was made seeking efficiency in sound and playing. 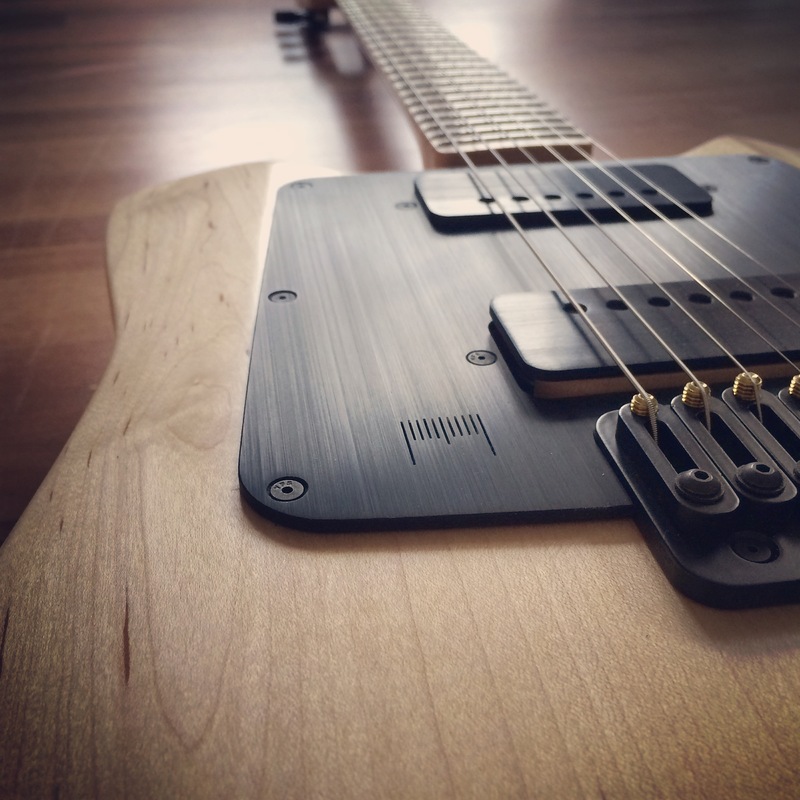 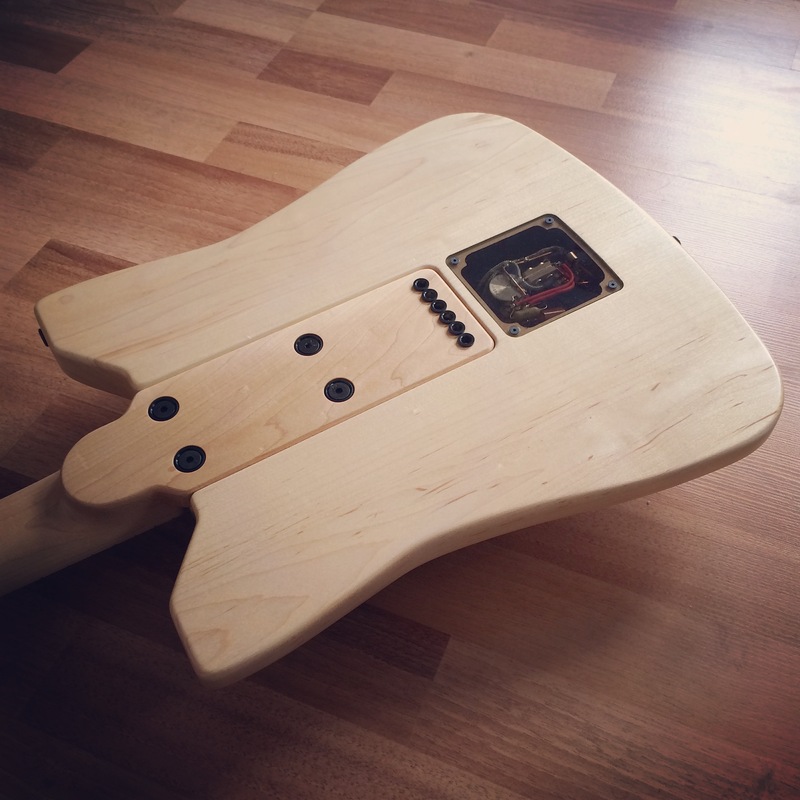 The tone lies in the neck construction, pickups and the use of maple. 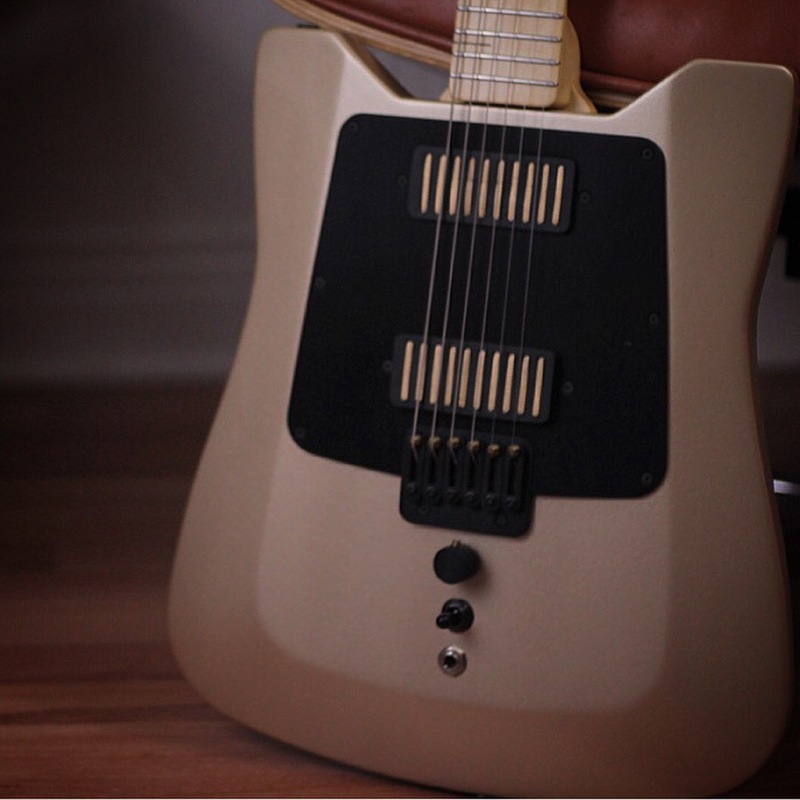 MB4 sound is aiming tones of the 90's noise, such as Shellac and Jesus lizard, etc. 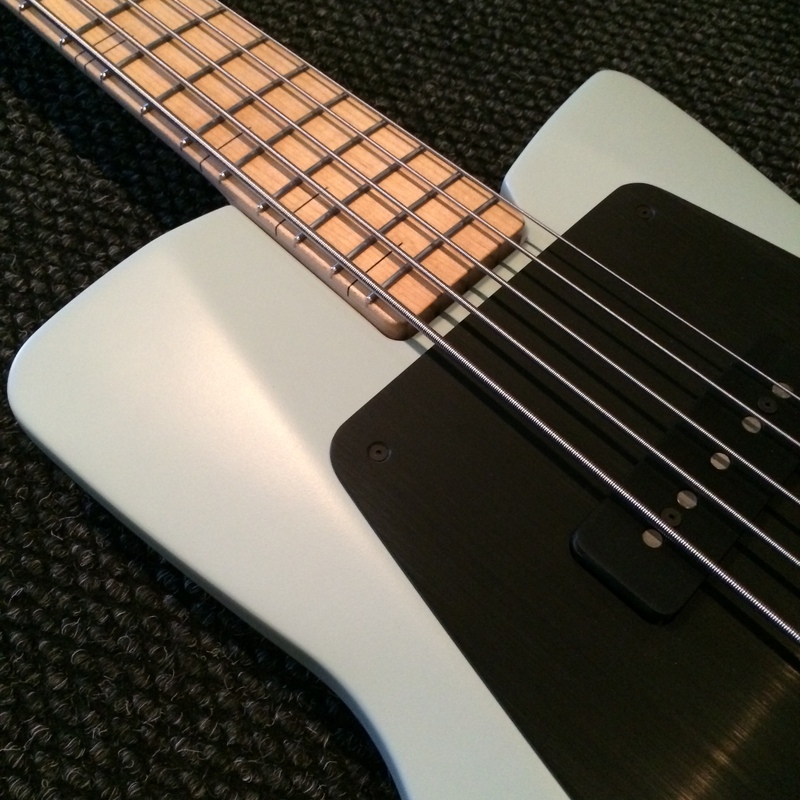 This bass will provide you sustain, large frequency response and the punch and clarity you need. 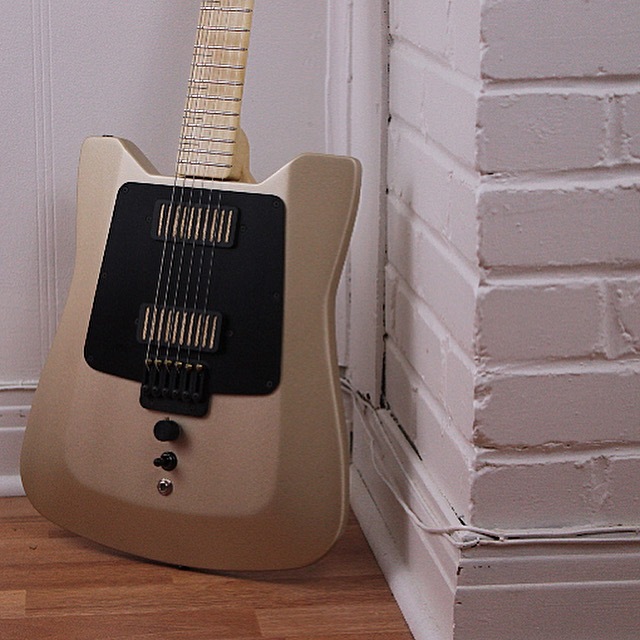 2900$ CAD with case plus shipping. 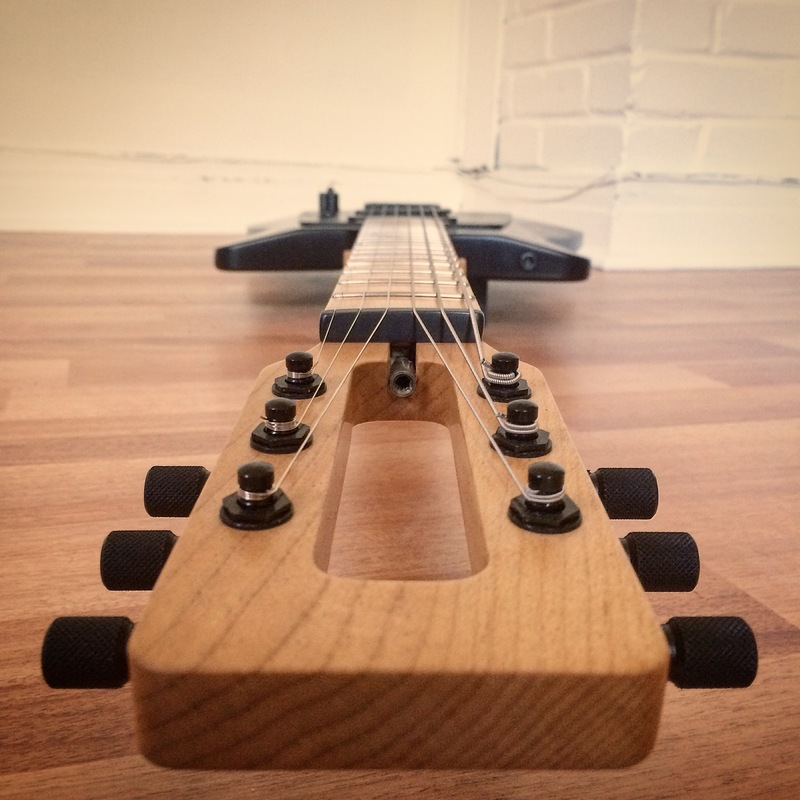 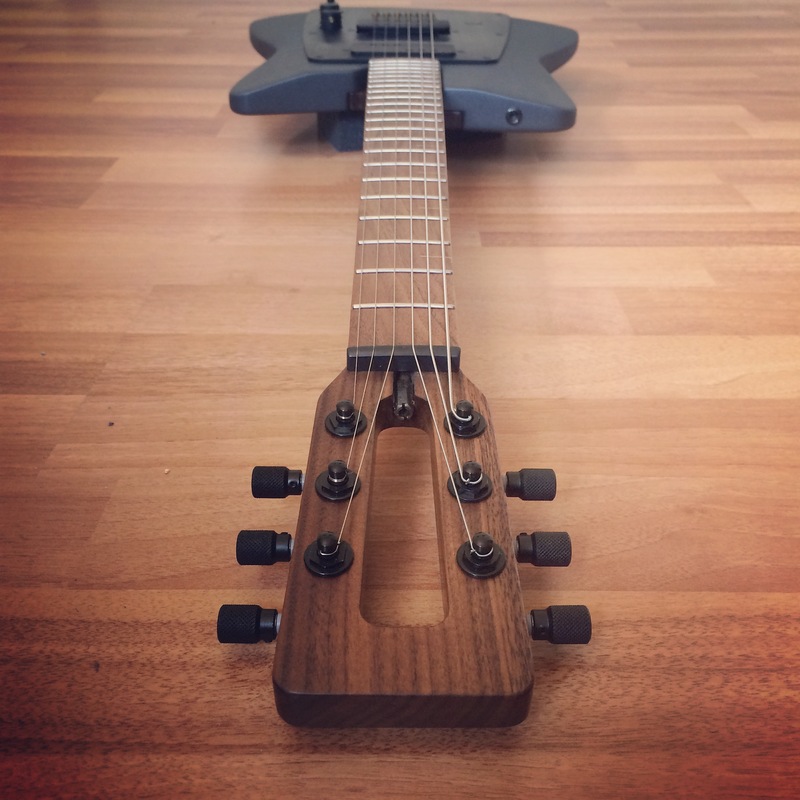 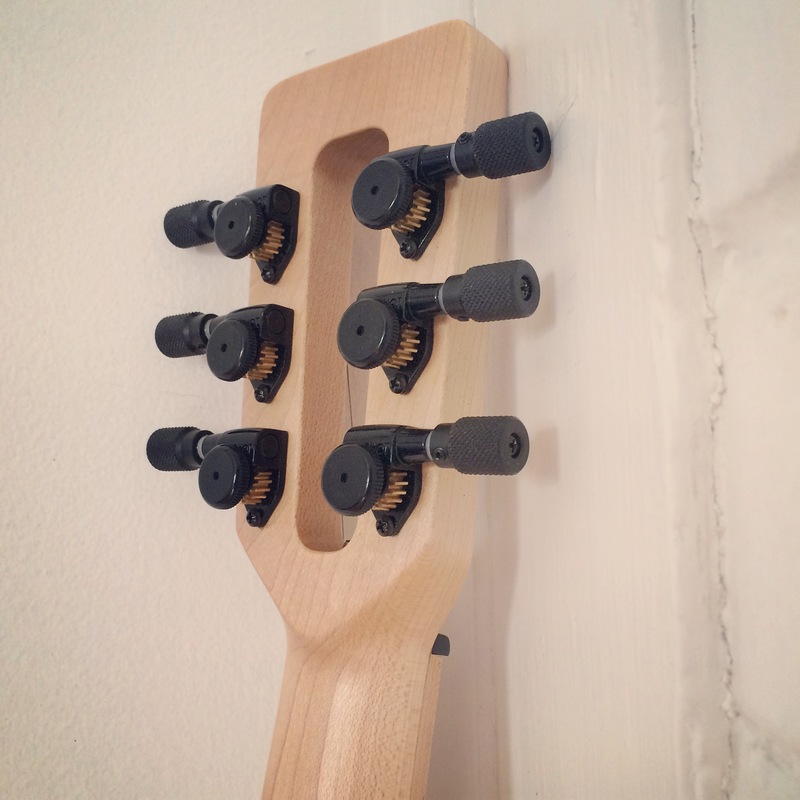 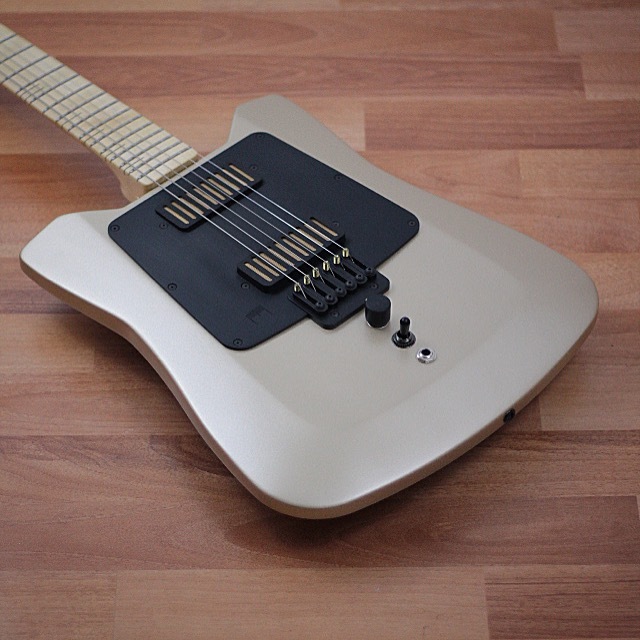 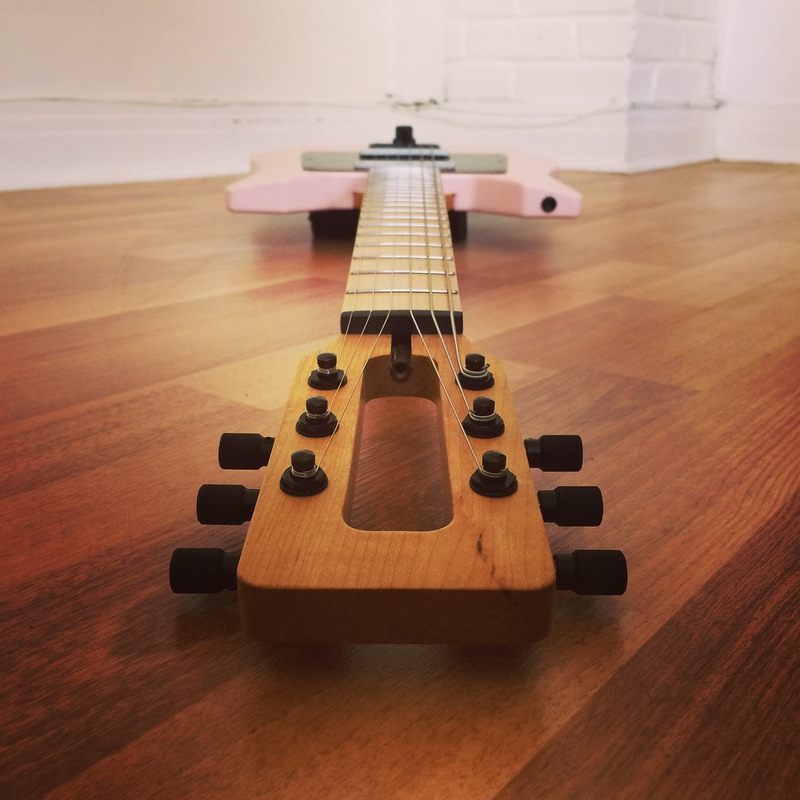 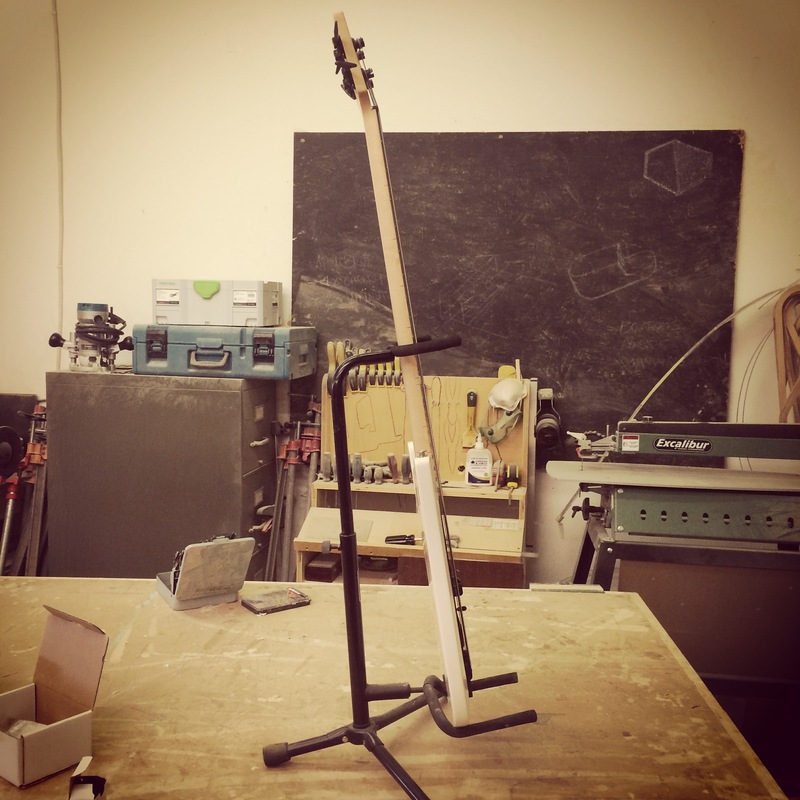 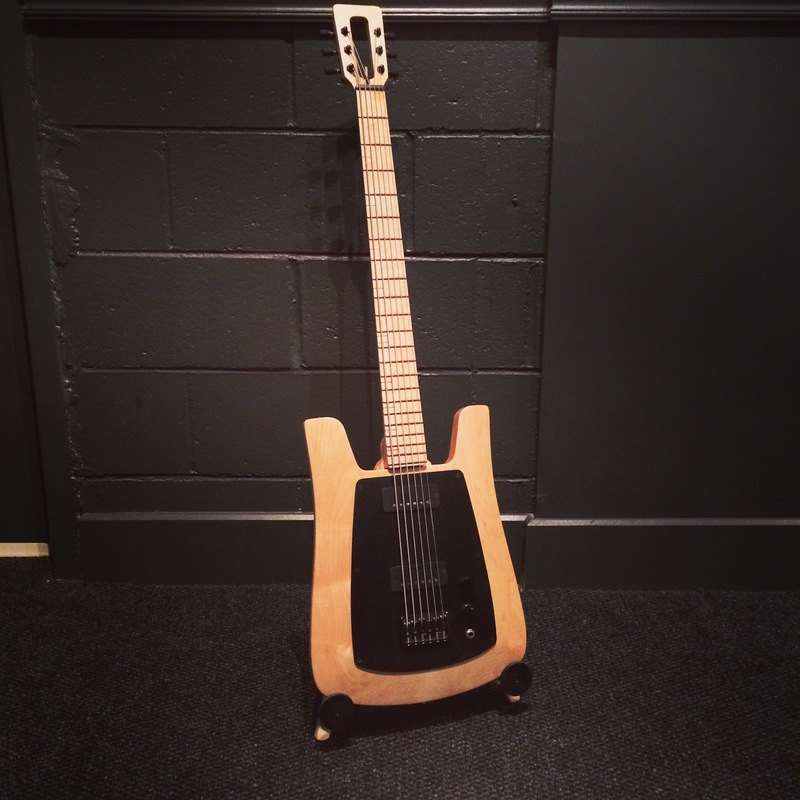 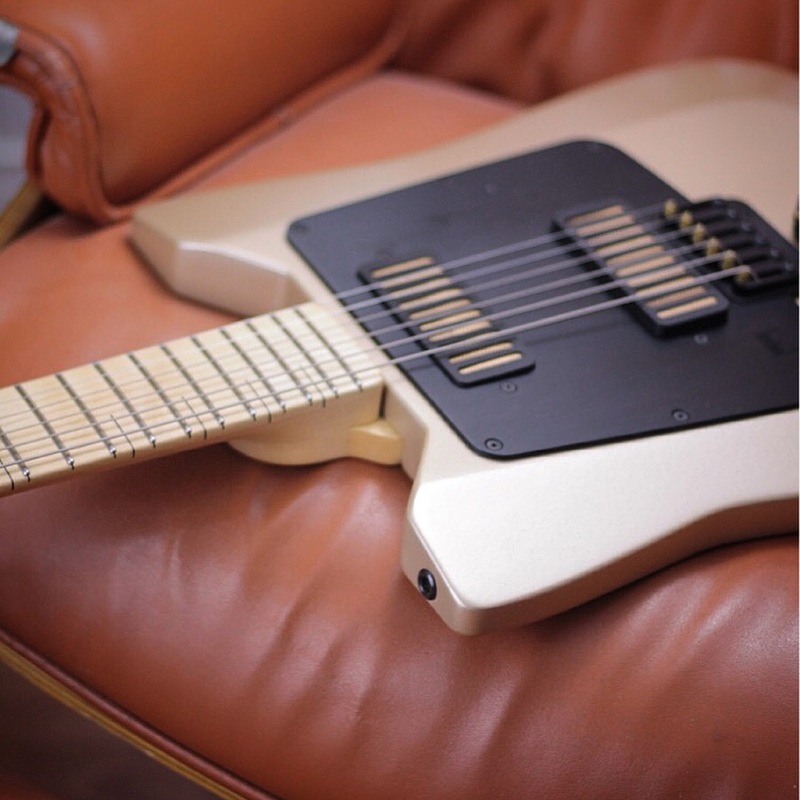 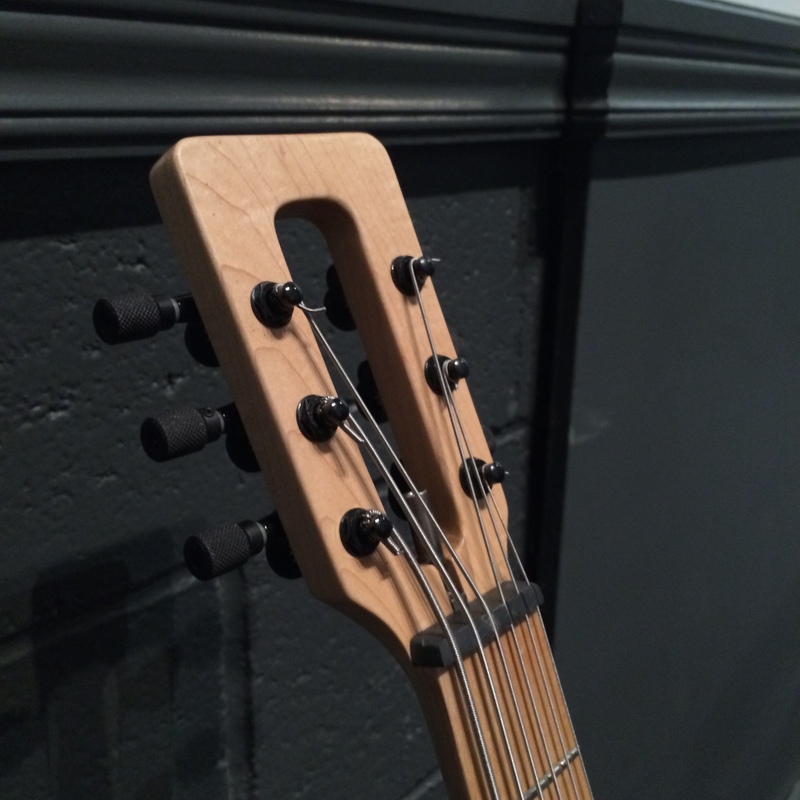 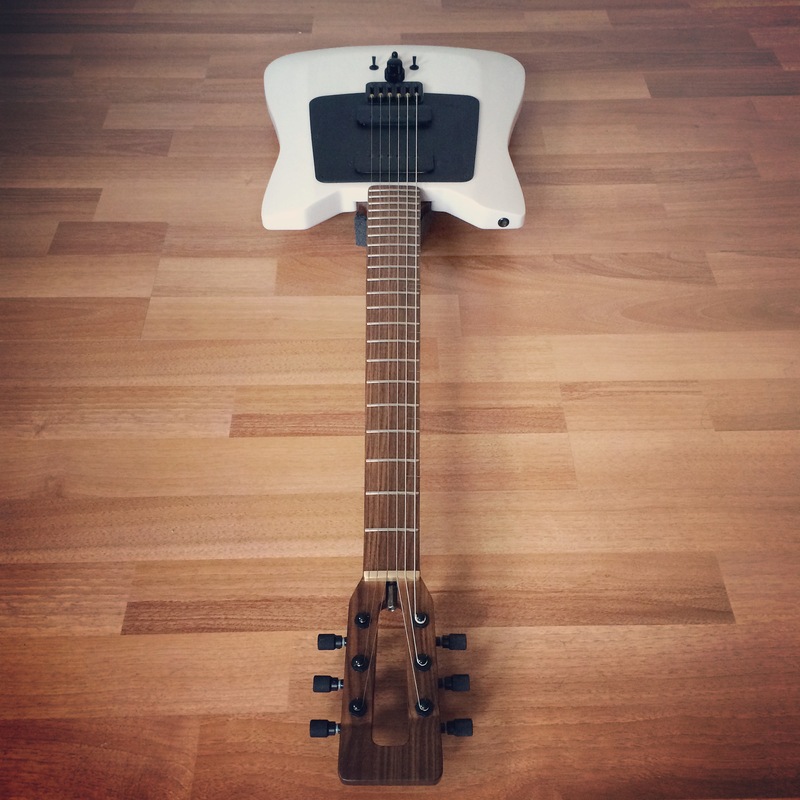 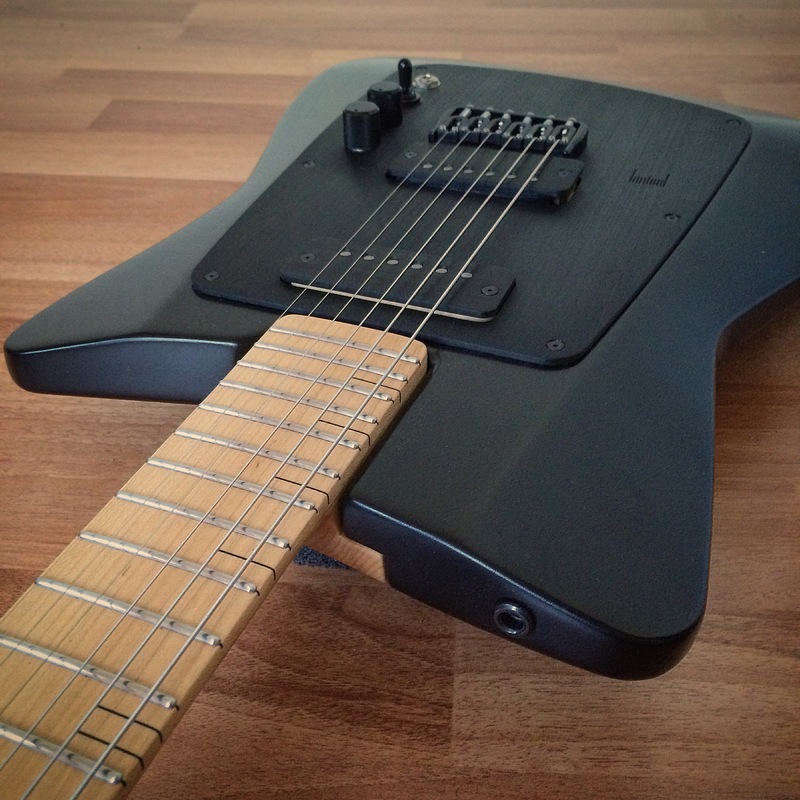 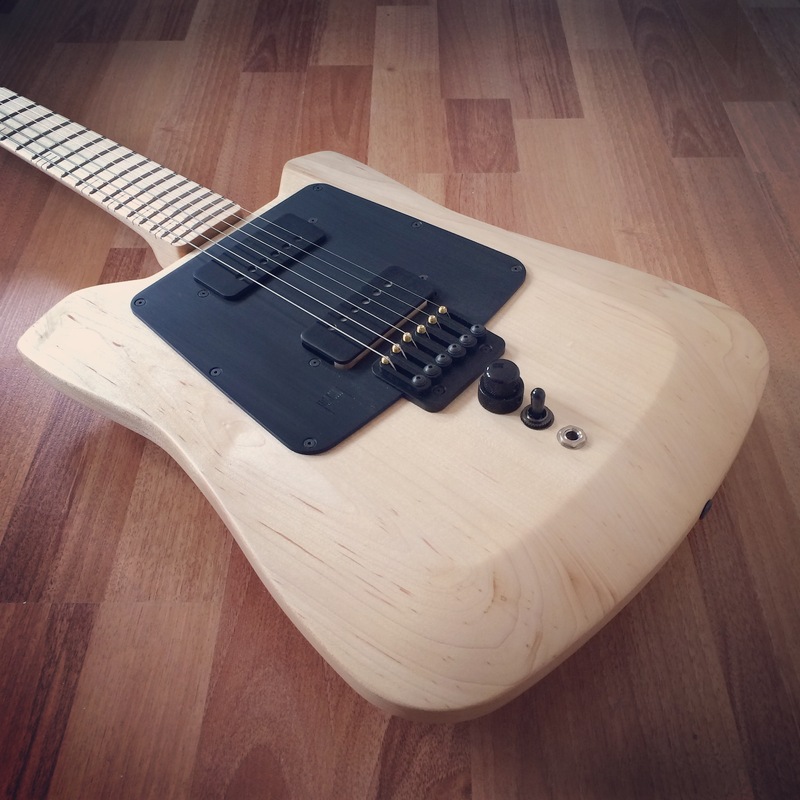 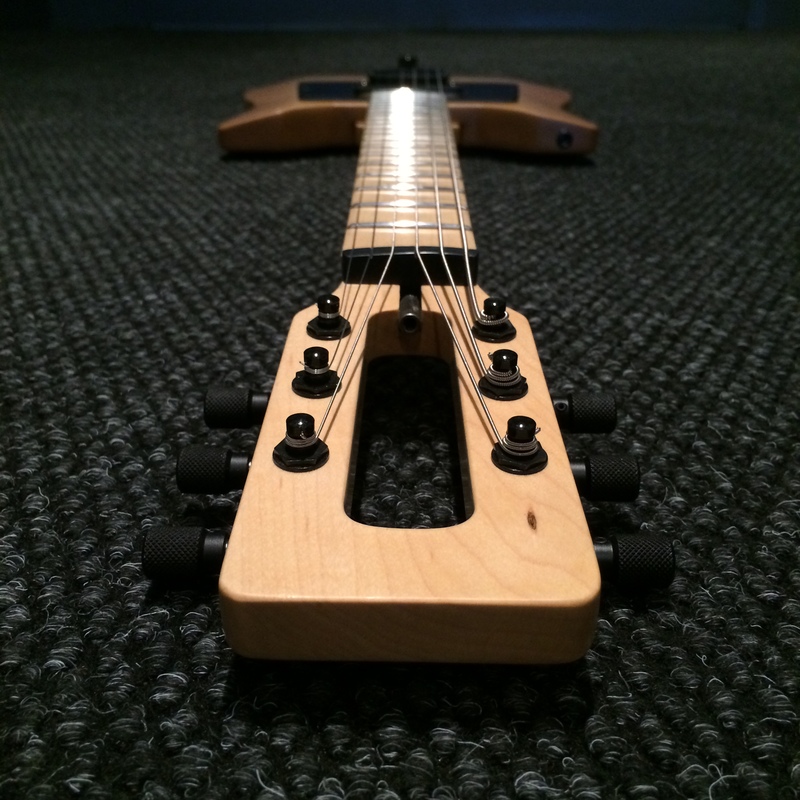 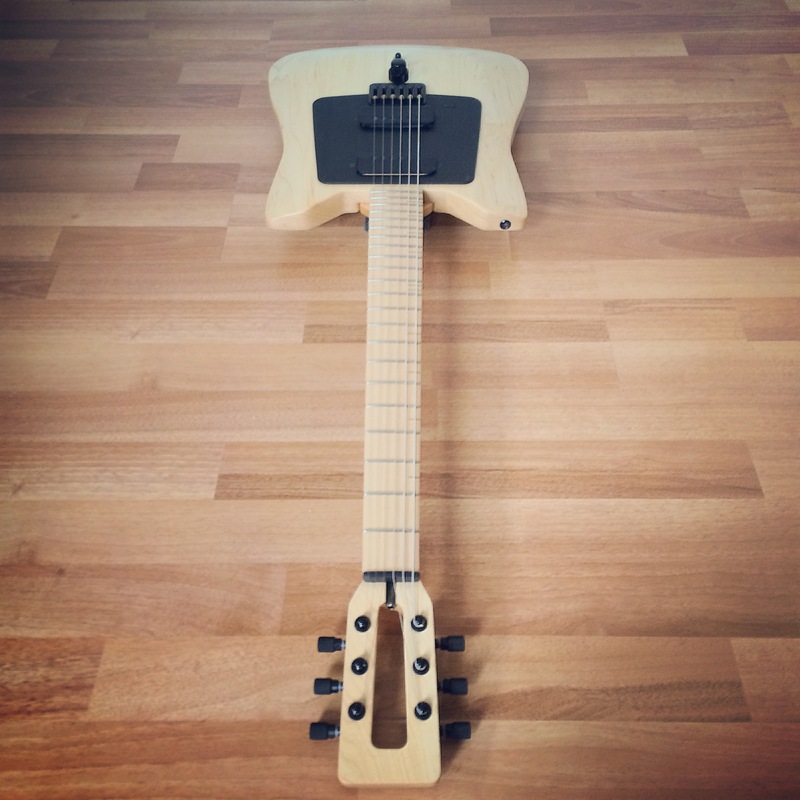 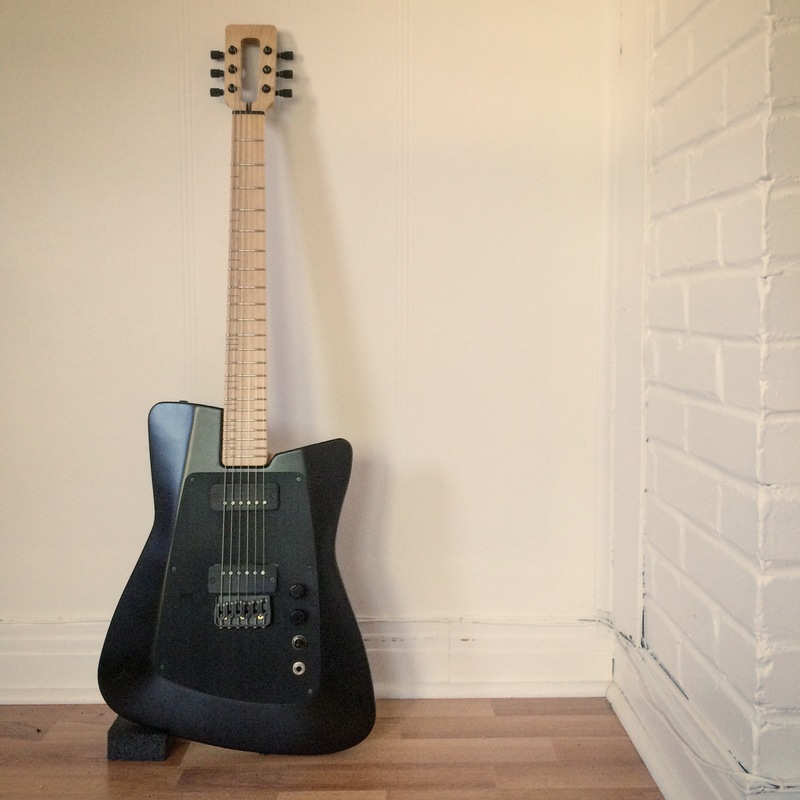 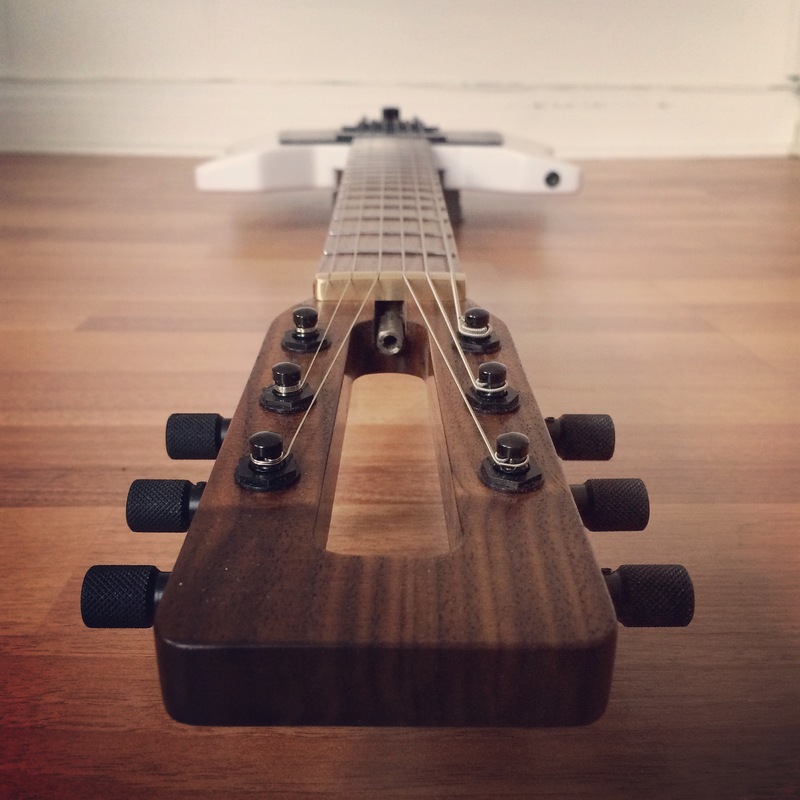 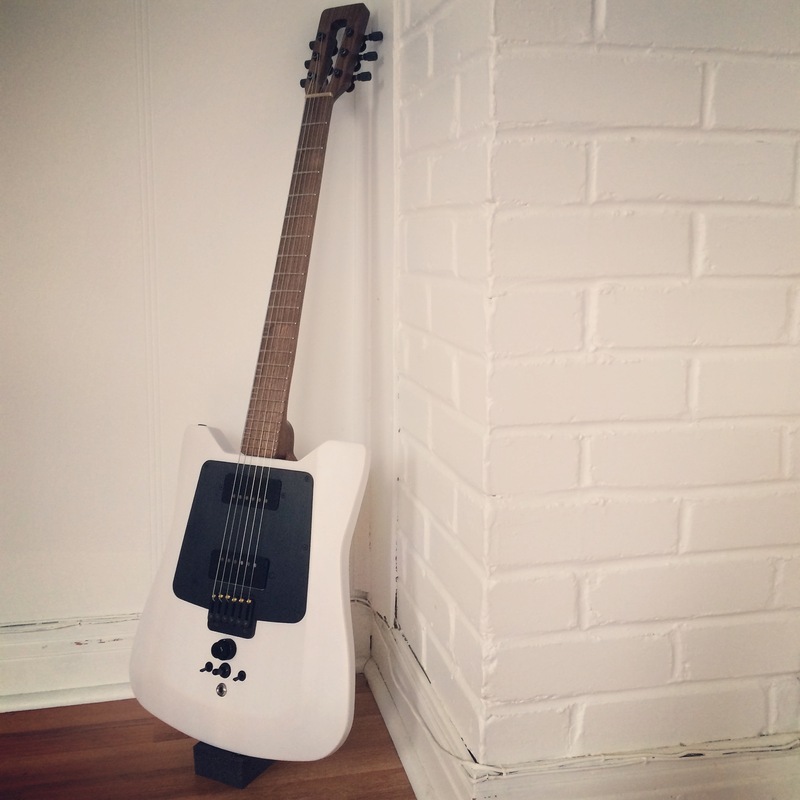 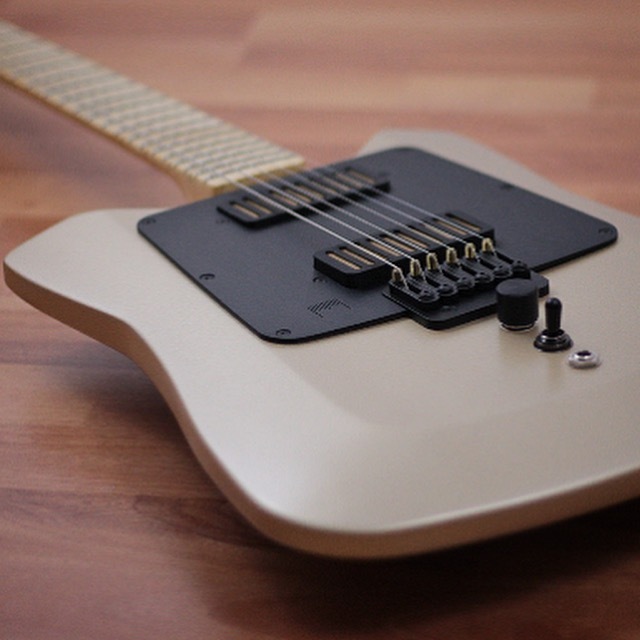 MGS3 is the second Millimetric 6 string model that has been designed. 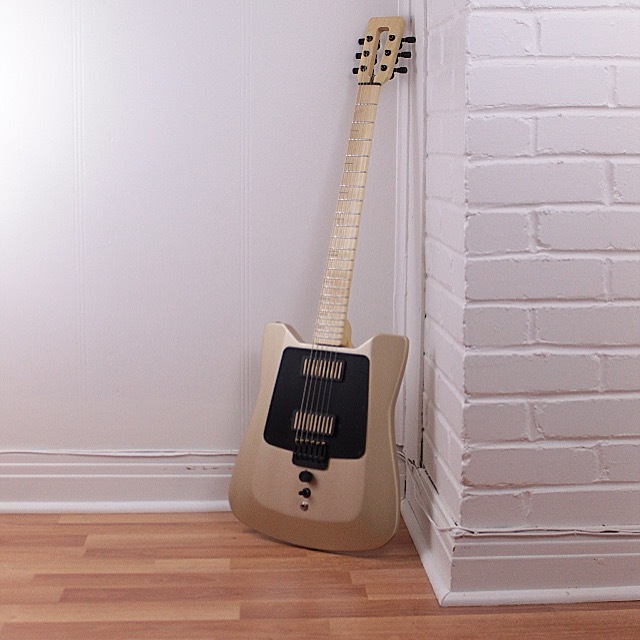 it is inspired by offset classics, but has the Millimetric modern and minimalist vision. 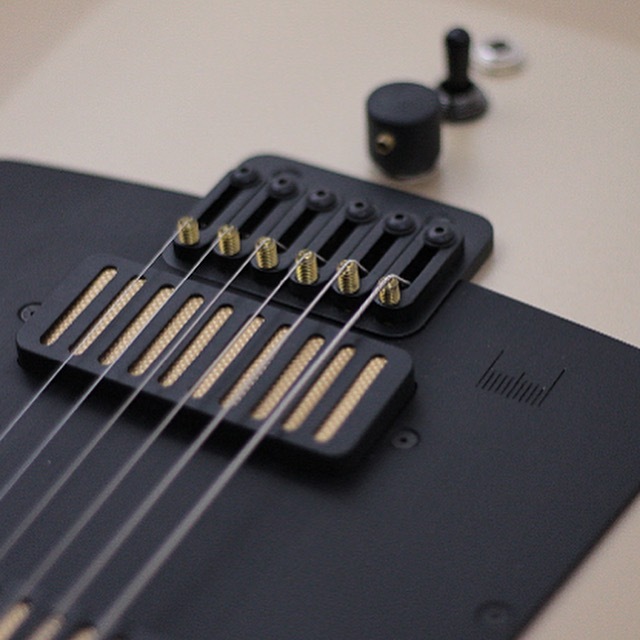 Created to have a different stand up position than the MG6, the MGS3 has a closer feel to a Les Paul style guitar with its single cut design. 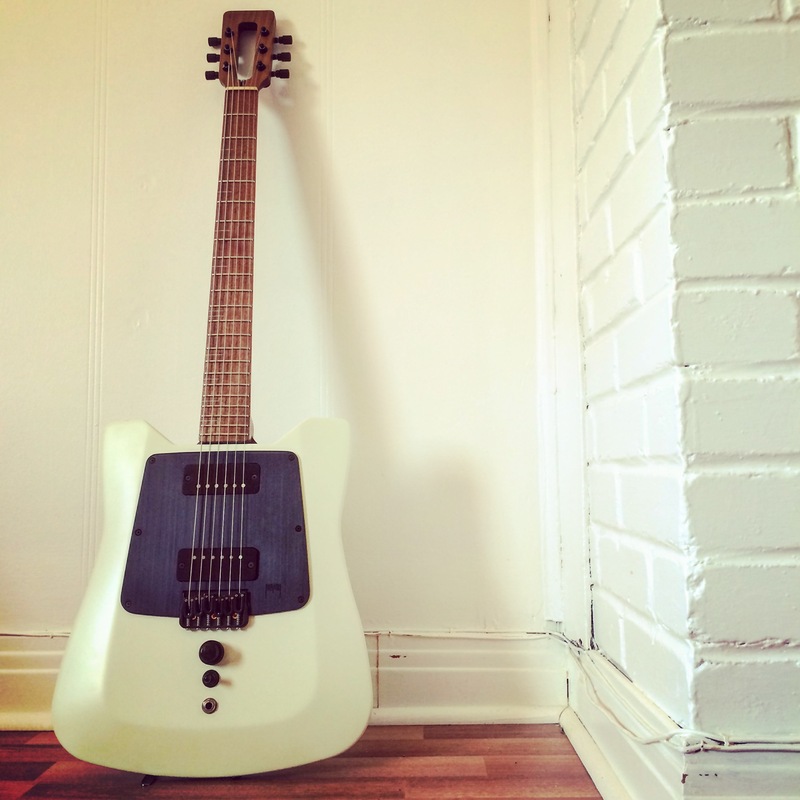 MG6 is the first Millimetric 6 string model that has ever been designed. 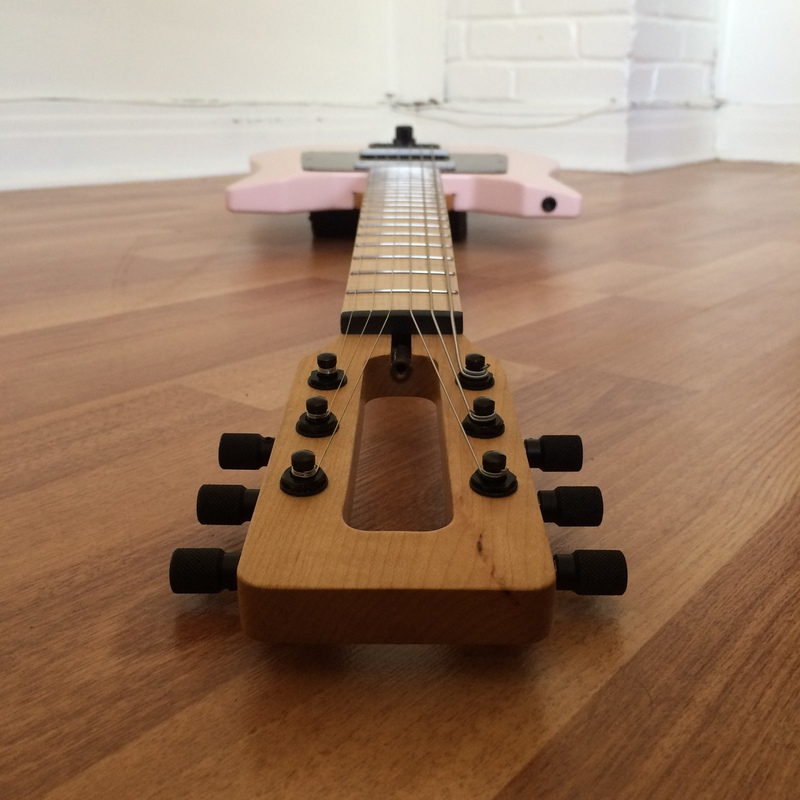 This was inspired buy the work of Travis Bean and Obstructures translated to wood. 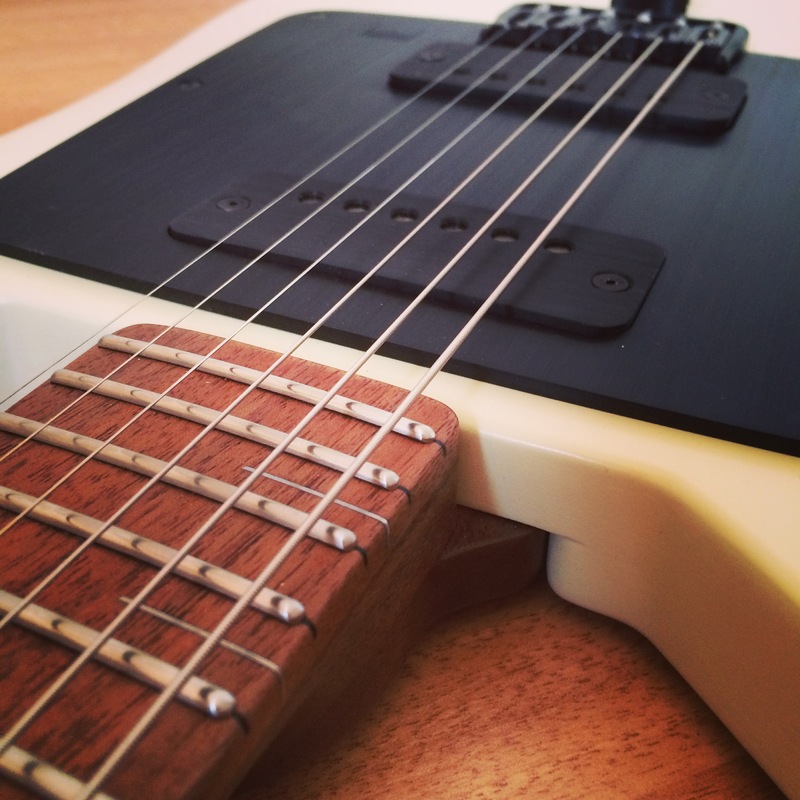 Made to be ambidextrous, left handed players can have a guitar that looks right. 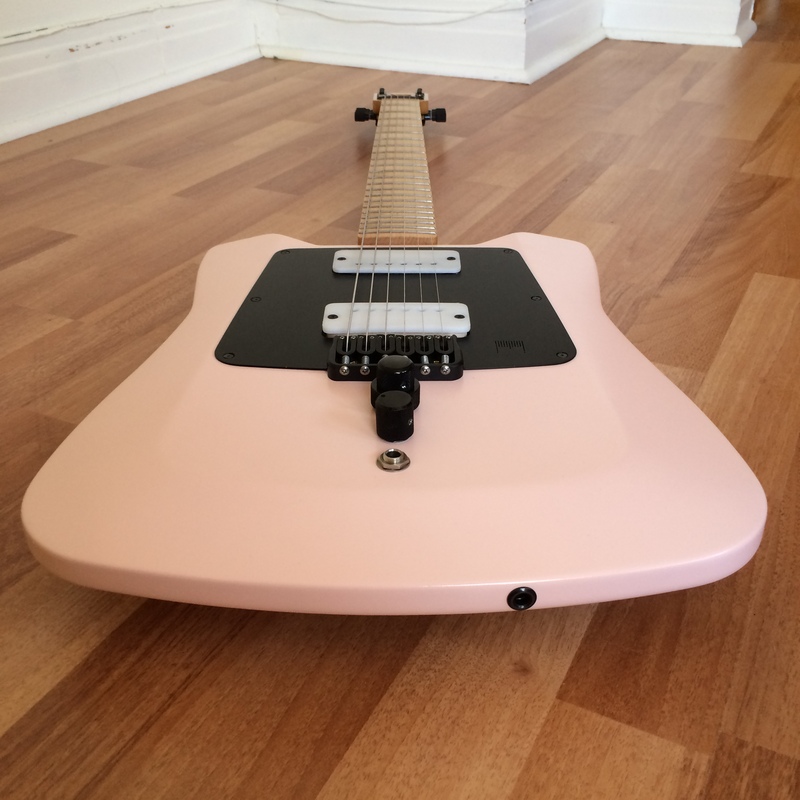 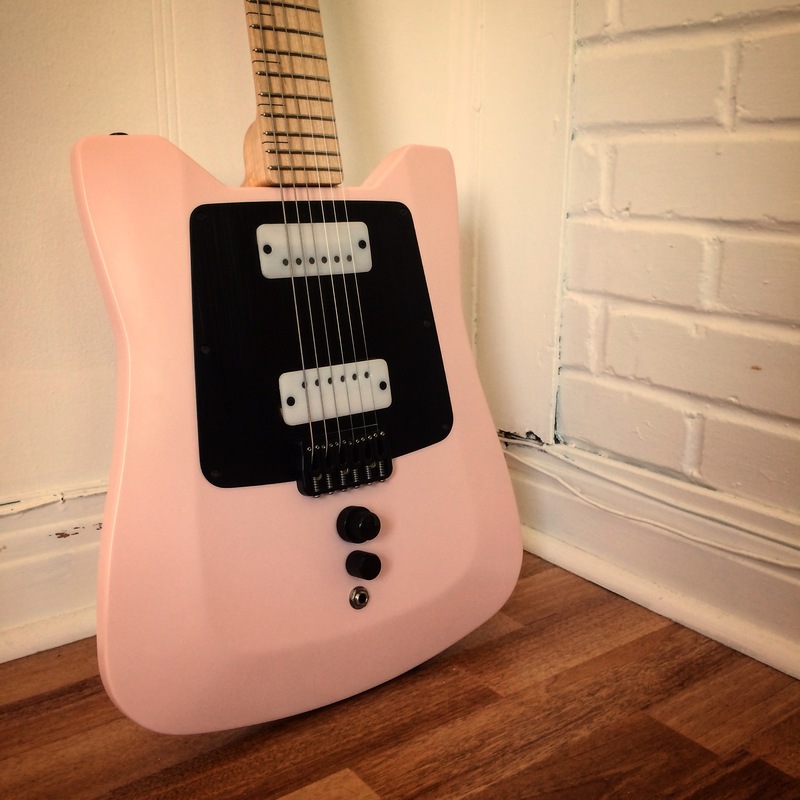 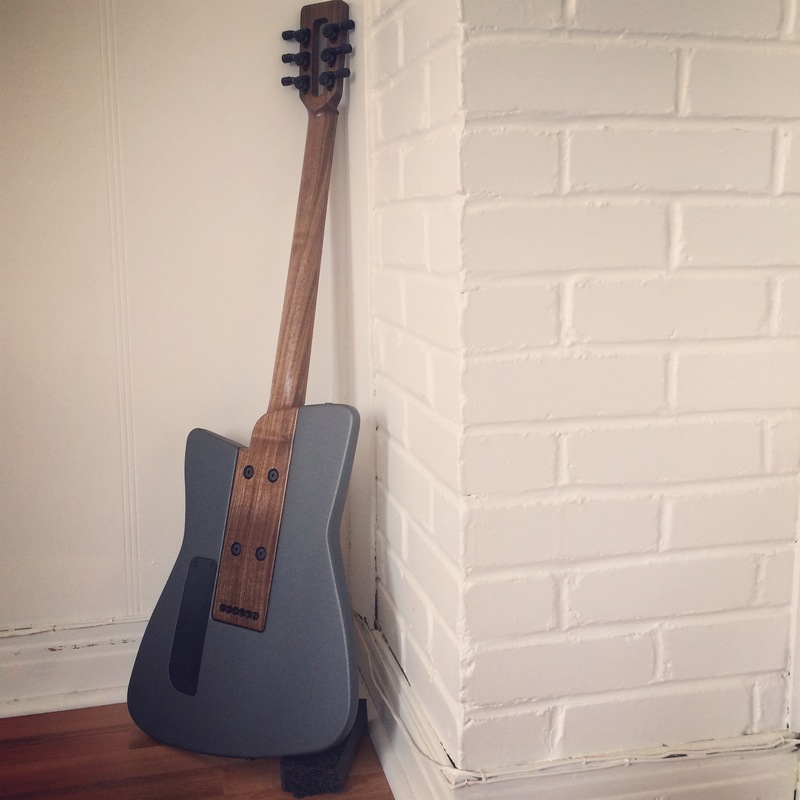 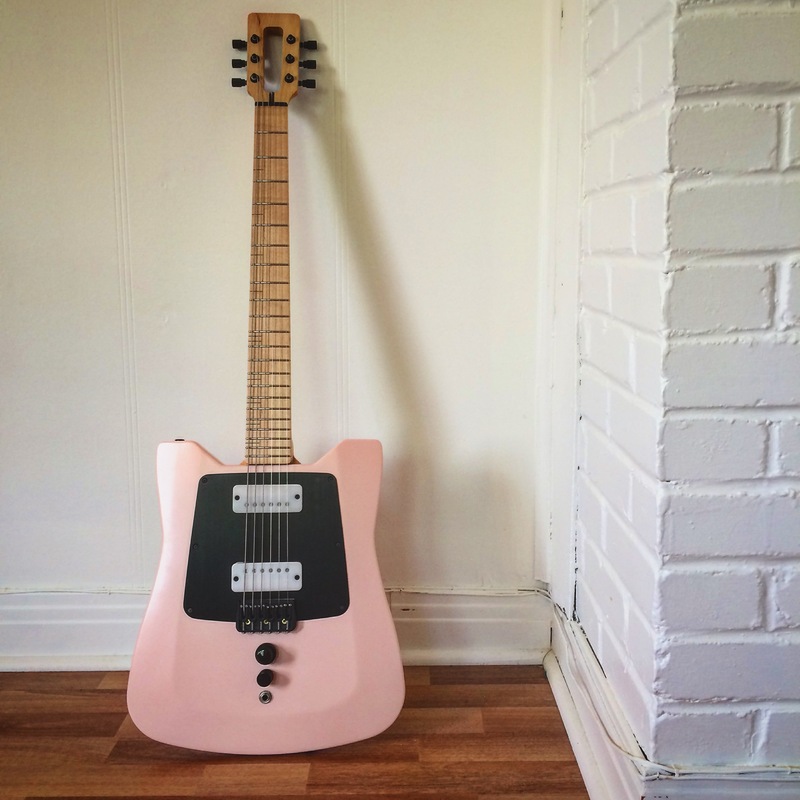 This guitar was made seeking efficiency in sound and playing. 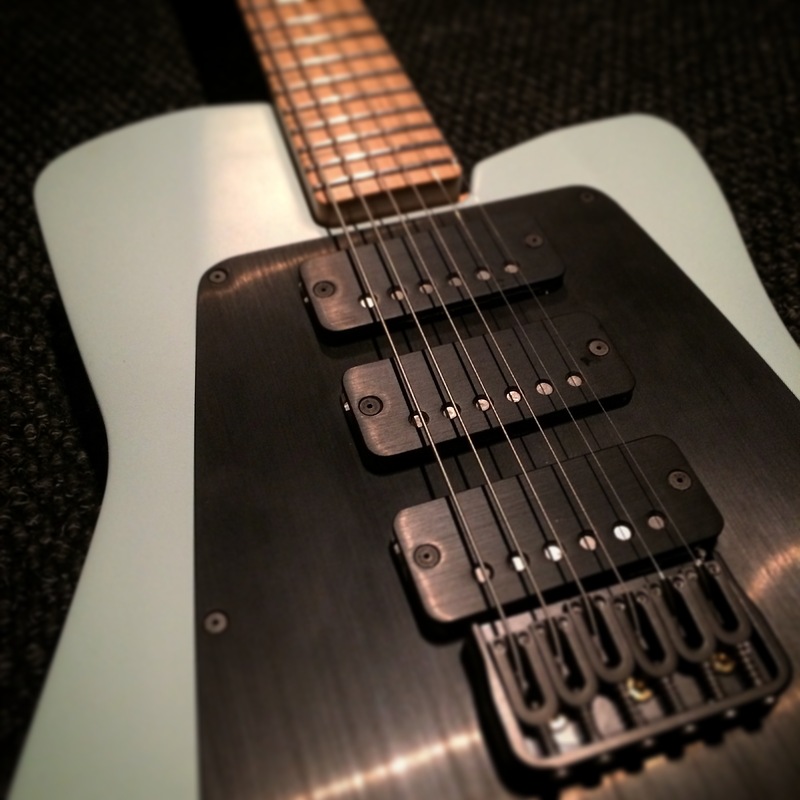 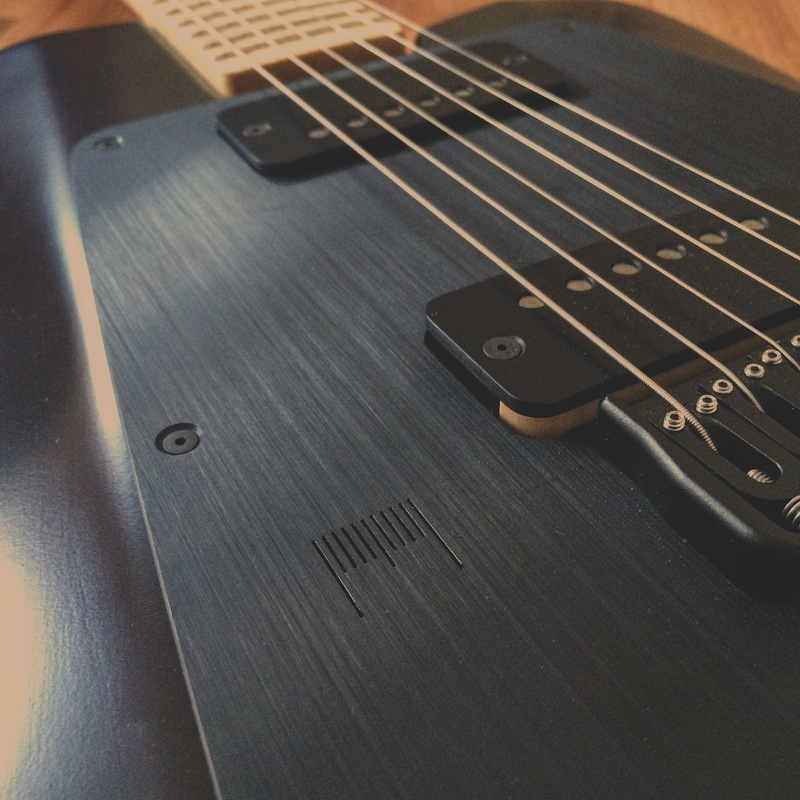 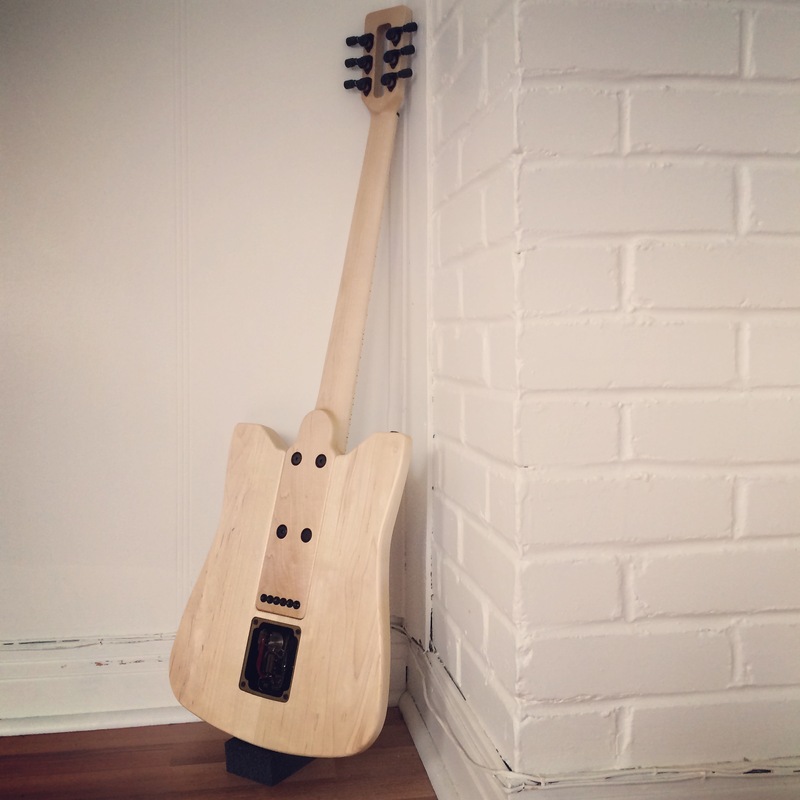 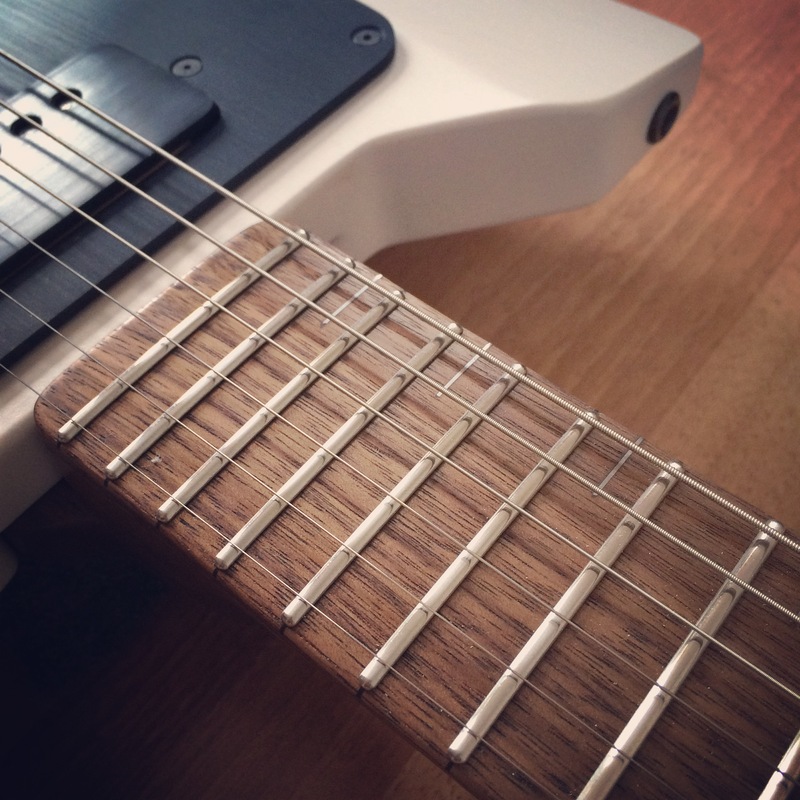 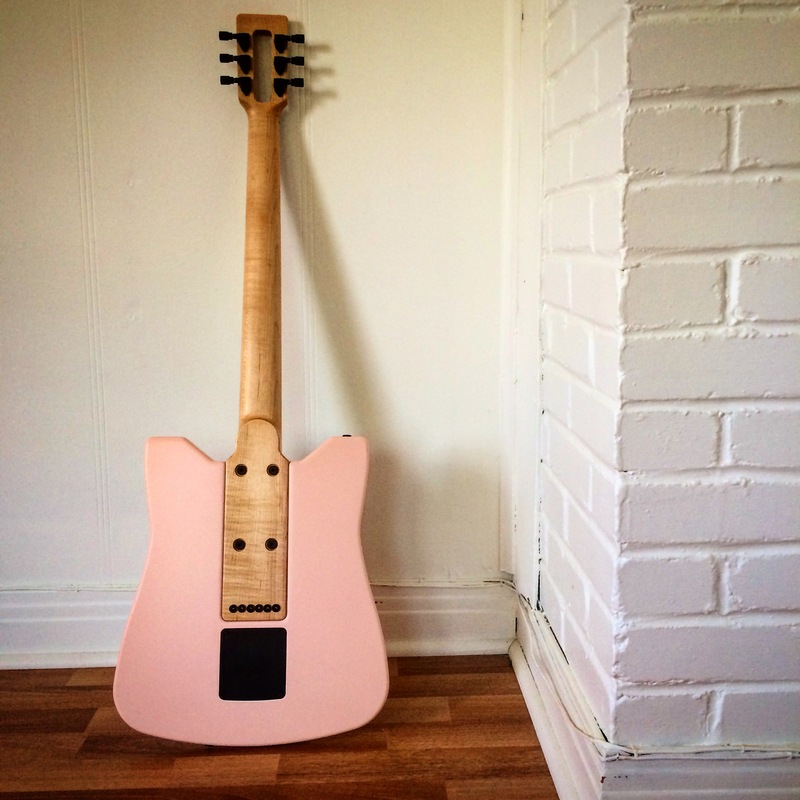 The tone lies in the neck construction and pickups as well as in the use of maple. 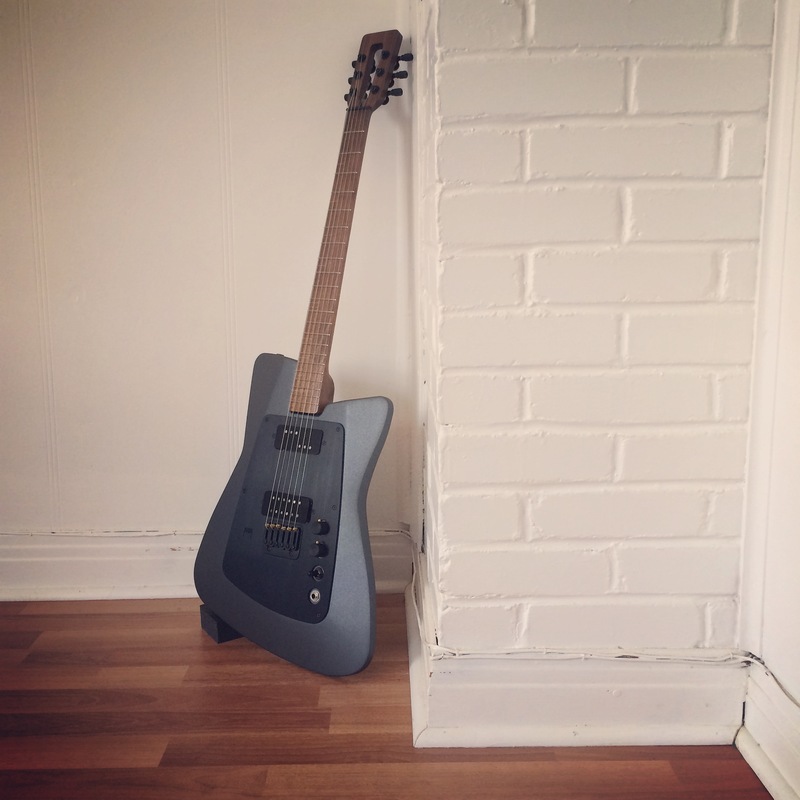 The MG6 sound is similar to the guitars in the 90's Chicago noise rock scene, such as Shellac, Jesus lizard, etc. 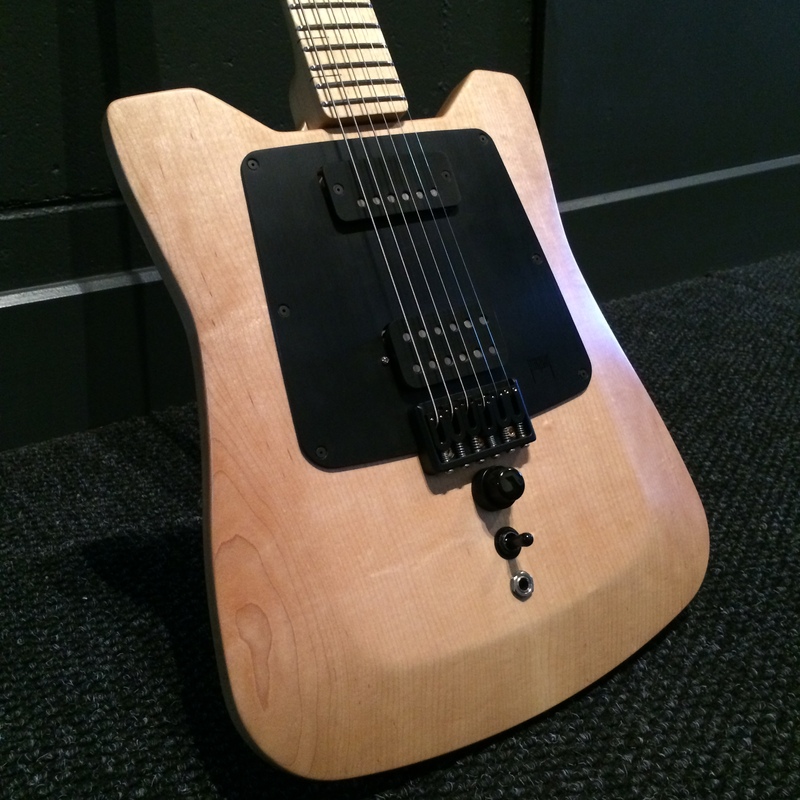 This guitar will provide you sustain, large frequency response and the punch and clarity you need.